Some of our most cherished memories are created around the dining room table, as we share delicious meals with friends, family and relations. Therefore, you want to have a dining room that lends itself well to this level of intimacy, one that provides a space where the conversation flows as freely as the drinks and grub. 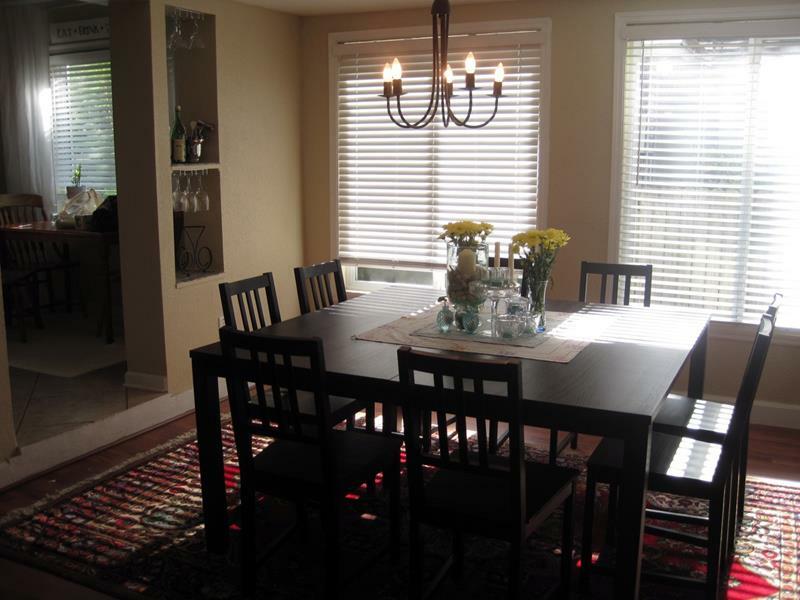 However, dining room design isn’t as simple as choosing some colors and buying a table. You’ve got to think about how all of the different elements of the room come together in order to create the vibe and feel that you want. For this reason, we thought we’d provide you with a no-nonsense guide to dining room design. Here, we’ll review everything from selecting a dining room table of the appropriate size to choosing a style that creates an instant impression. In between, we’ll even review the different dining room chairs you’ll have to choose from, as well as the various styles in which they come. 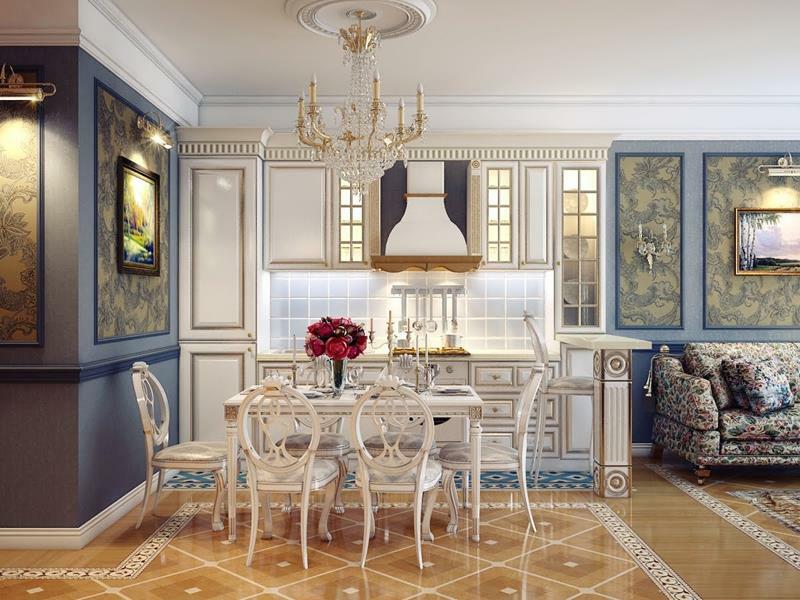 So, if you’re currently in the process of designing a dining room for a new home, or if you’re giving your current one a much-needed facelift, then read on! You’re about to learn all of the basics you need to know about good dining room design. When starting in on a new dining room design, the most important thing to consider will be your family and how you intend to use the space. If it’s just you and your significant other, you may be able to get by with a smaller table, and spend more of your budget on décor, lighting, furniture and other considerations. If, however, you have a larger family – or plan on doing a significant amount of entertaining – you’ll want to direct your efforts toward designing a space that can accommodate a larger number of people. Understanding how you intend to use the space will help a great deal when it comes to budgeting, which is the second most important thing to consider. Designing a beautiful dining room will most often require a significant investment, so you’ll need to know where to splurge and where to conserve. 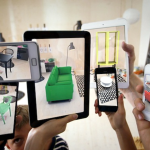 So, before you head out to furniture stores and the like, sit down and come up with a firm budget, and then let that guide your purchasing decisions as you go about the process. If you’re simply going to be taking advantage of an existing space, then most – if not all – of your budget will be taken up by furniture and décor. However, if you’re planning on knocking down walls, re-flooring, or installing any built-ins, you’ll need to factor in the cost of construction, contractors and things of that nature. 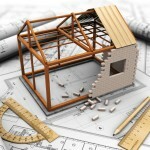 On that same note, be sure to keep any local building ordinances is mind, especially if you’ll be going the DIY route. Once you understand your goals for the space and your budget, you’re almost ready. But, there’s another important bit of prep work to accomplish! It’s time to get out that measuring tape. Generally speaking, dining room furniture can be quite large, and you want to be sure that whatever furniture you select is capable of fitting comfortably into the space. Likewise, you want to make sure that you’re able to actually get any furniture pieces you select into the dining room itself. So make sure you measure any doorways and hallways that stand between the outside world and your dining room. You won’t have to worry about this much with an open-concept space, but it doesn’t hurt to be prepared! 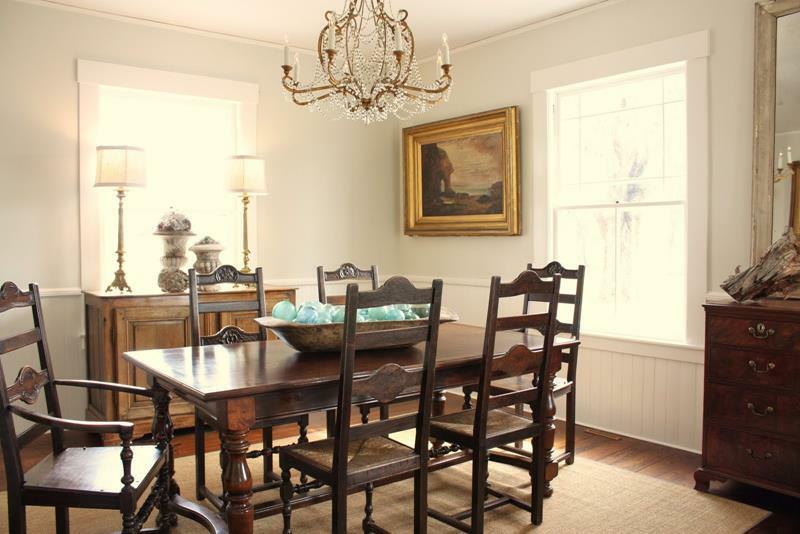 Once all of this is taken care of, you’re ready to begin designing your new dining room. Read on to learn more about the most important things you’ll need to consider as you go about the process. The center piece of any dining room, even the smallest, is the dining room table. Selecting the right dining room table may, at first, seem as simple as picking something for its aesthetic value, but there’s much more to consider. Most importantly, you’ll need to understand the size of your dining room table and how many people it’s capable of accommodating. Although there are outlandish exceptions, dining room tables will generally fall into one of three categories: circular, rectangular or square. Of course, rectangular and square dining room tables can have rounded edges, but it terms of overall size and their ability to accommodate people, you can think of them as squared off. 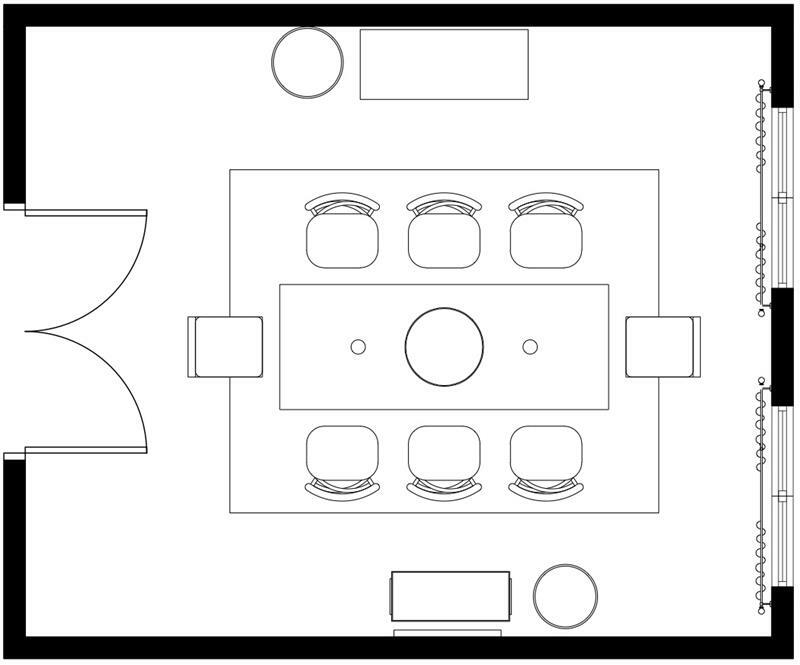 Except with the smallest circular table, more people can be accommodated than the number listed above. However, you won’t want to stretch it by more than a person or two. Also, if you plan on having to do this, be sure to bear this in mind when selecting your chairs, as you’ll need smaller ones to fit at the table. 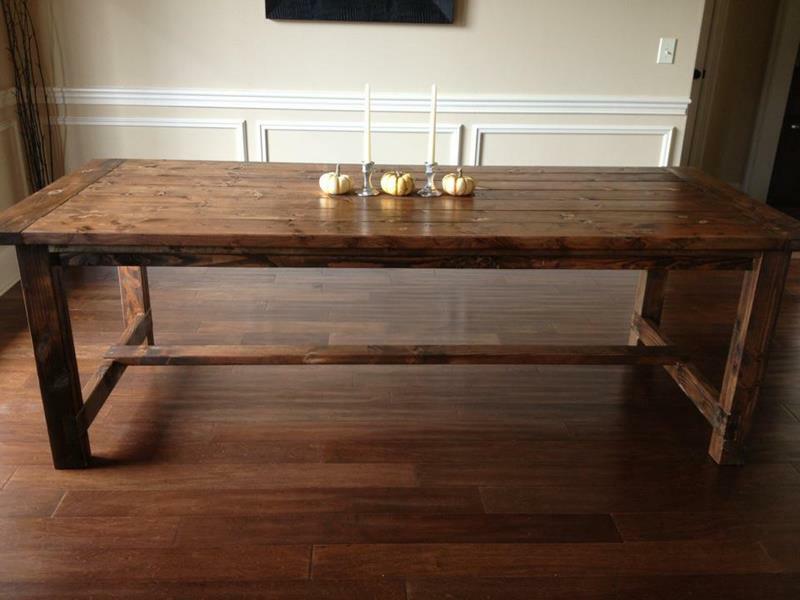 Rectangular dining room tables can come in a number of different dimensions, especially if you choose a custom piece. However, these are the standard sizes and how many people they’re capable of accommodating. As before, you can accommodate more people than what’s listed, however things will become cramped. If you’re concerned with accommodating a large number of people at the table but space is limited in your dining room, a rectangular table will most likely not be the best option, as the length required to accommodate those extra diners might result in too much space being taken up. 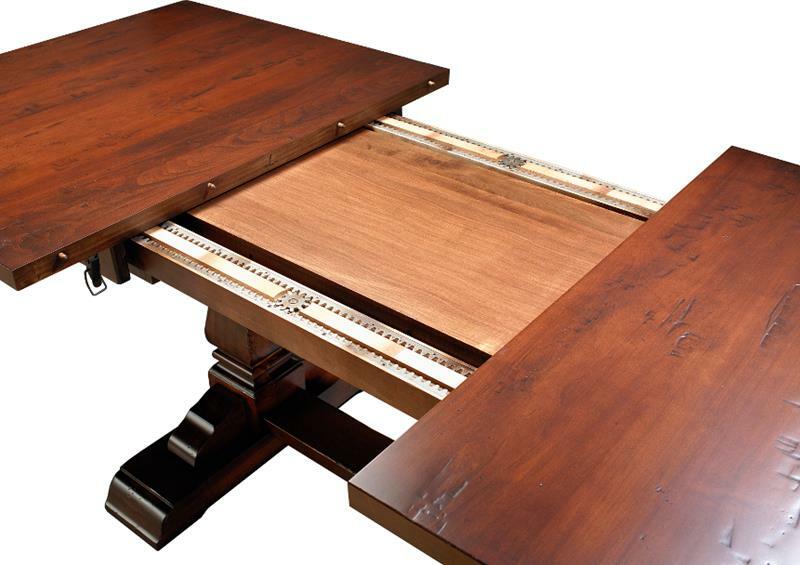 A square dining room table is exactly what it sounds like: exactly square. Therefore you’ll only need to consider the length of the side when choosing one. Here are the standard sizes available, as well as how many people each size is capable of accommodating. In terms of efficiency within a space, a square dining room table splits the difference between a rectangular one and a circular one. 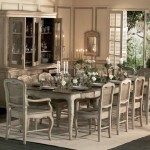 This makes them ideal for medium-sized dining rooms. However, there is one drawback to the larger square dining room table, in that the center of the table can be quite far from the edge. Particularly with open-concept dining rooms, you may wish to consider a table that’s size can be adjusted. 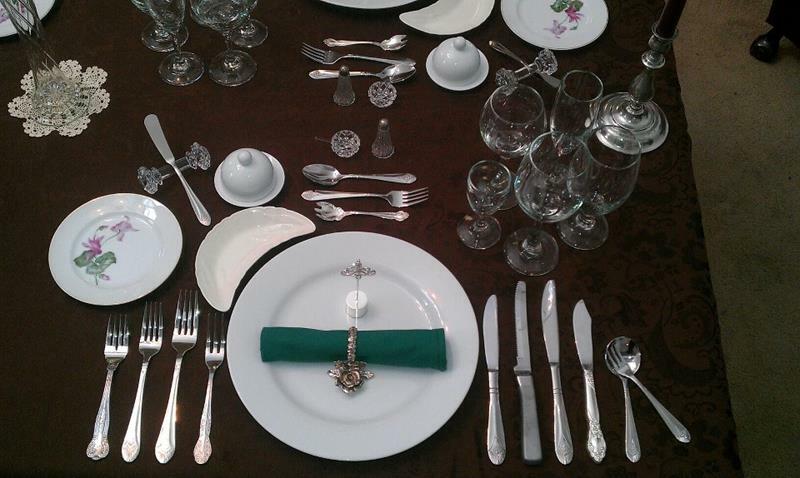 This will allow you to increase the capacity of the table when needed, and to lower its profile when it’s not in use. The most basic adjustable size dining room table that you can go for is one that has sides that can be flipped out or in, like the square table that can become a circular one above. These are great if you’re only concerned with adjusting the capacity of your table by two or three people. If you’ll need to increase the capacity of the table by more than two or three people from time to time, strongly consider going with a dining room table that has leaves. 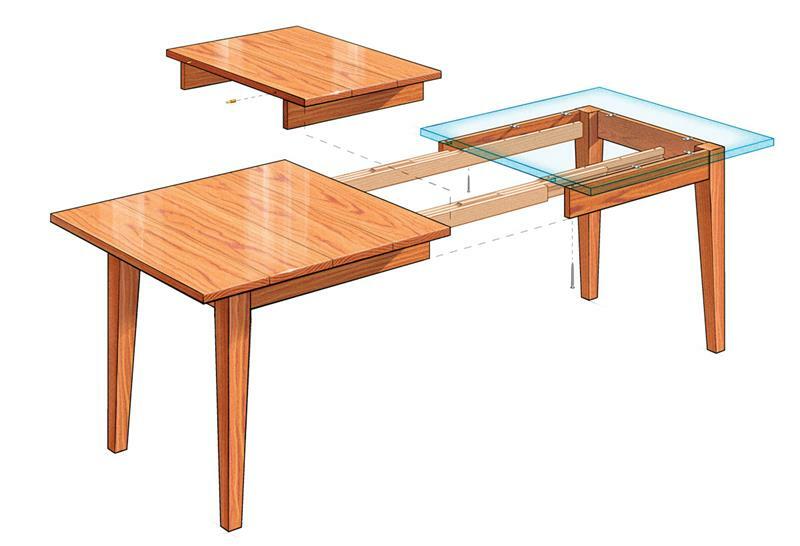 With these tables, you’ll pull out the two halves of the table and drop leaves into the center. Generally speaking, this will allow you to add four or maybe five people to the table. For informal dining, you’ll generally want to have a space that’s 24-inches wide and 13-inches deep in front of each chair. This provides ample arm room, as well as space for silverware, plates and glasses. 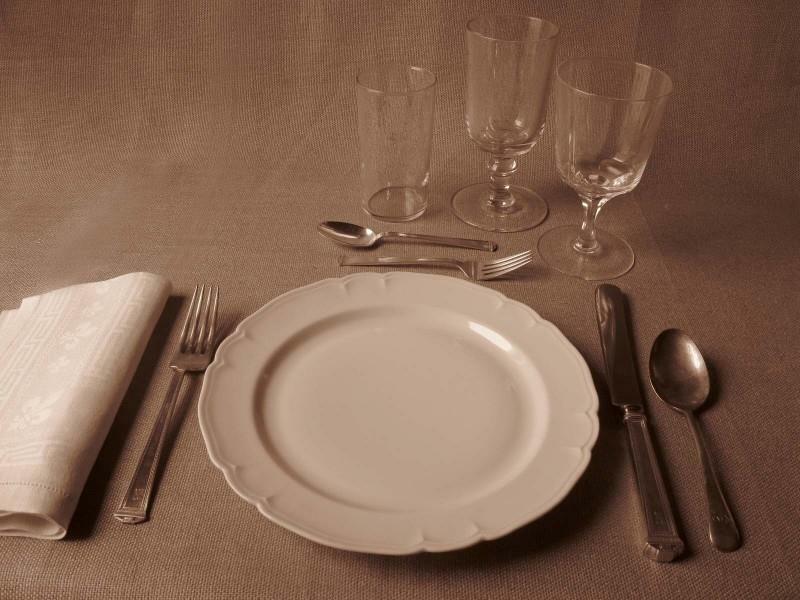 If you’ll be doing a fair amount of formal dining, you’ll want to provide a space that’s 36-inches wide by 18-inches deep to accommodate the extra plates and silverware. 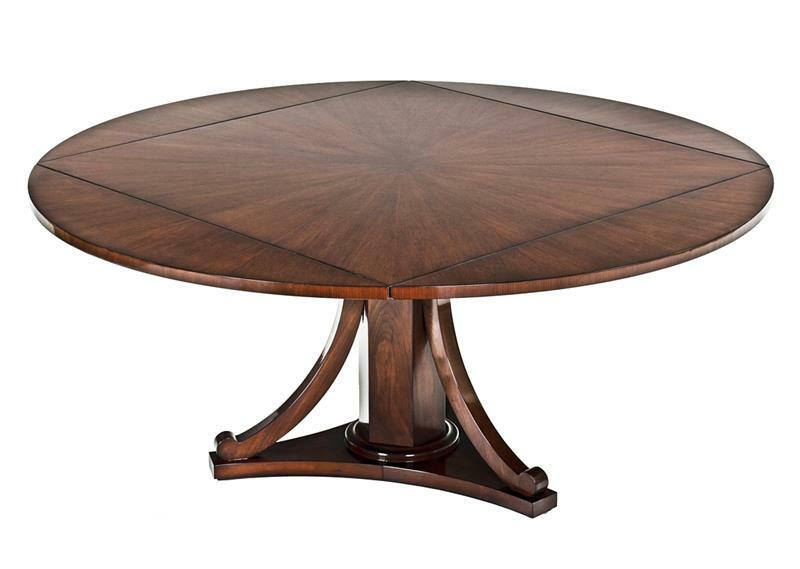 Whatever table you select, make sure it’s one that fits into the overall shape and size of the dining room itself. Not only will this help in terms of maximizing the space, it will also make the dining room appear visually balanced. If your dining room is within an open-concept living space, then also consider how the size and shape of the dining room table will work with the size and shape of other furniture pieces in the adjacent living spaces. 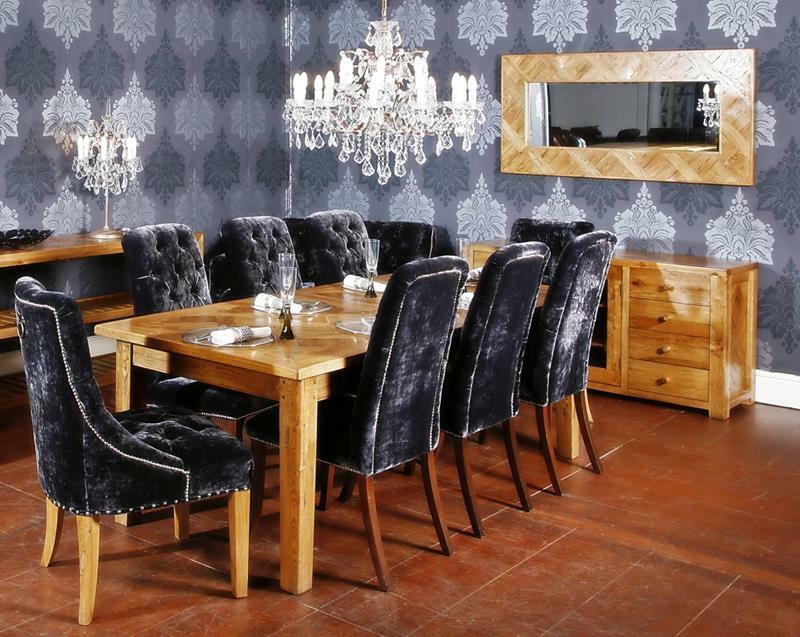 A dining room table is only as good as the chairs that surround it! With the above guide, you should have an excellent idea of how many chairs you’ll need… But, what chairs should you choose? We’ll be reviewing the common types of dining room chairs, and showing you some examples of dining rooms that make use of them! 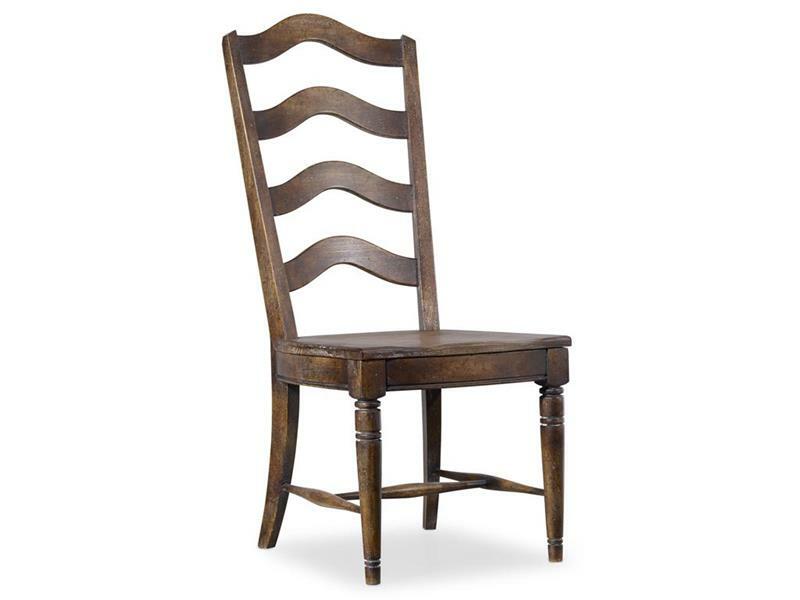 Side Chair: The most basic kind of dining room chair is a side chair. It has no armrests, and thus is best for dining rooms where you’ll be adding extra people around the table from time to time. 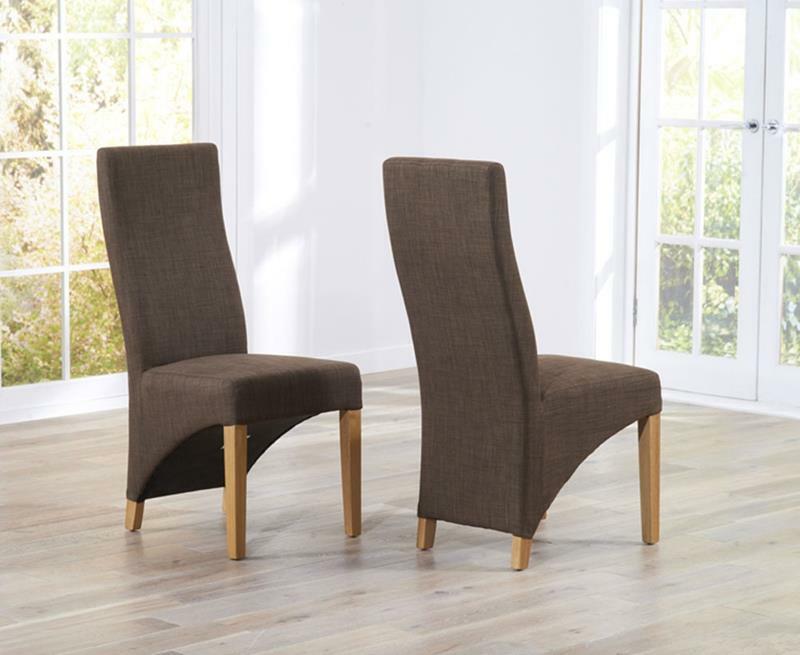 Side chairs can be upholstered or not and can be made out of virtually any material. 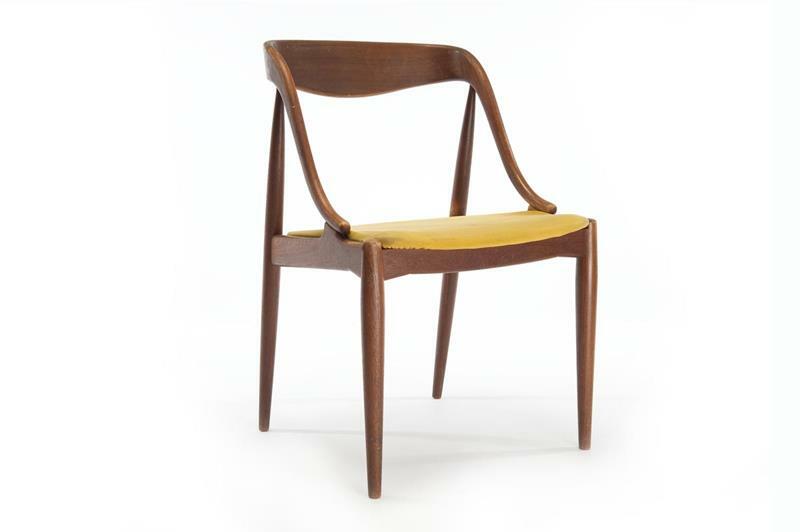 Parsons Chair: A Parsons chair, like a side chair, will not feature armrests. However, unlike the normal side chair, it will be largely unadorned, with a back and seat that have been similarly upholstered. 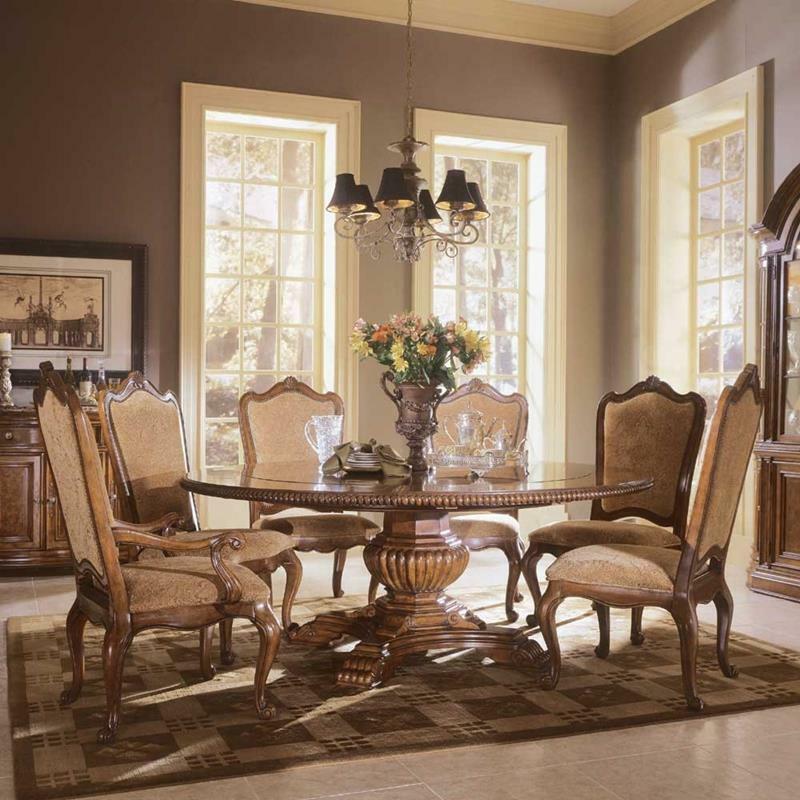 Their clean look makes them appropriate for virtually any dining room style. Arm Chair: The arm chair, as you might expect, features arm rests. Because of this, they tend to take up more space around the table, which means you may find it harder to cram in extra guests when you need to. However, if you want luxury, the arm chairs are almost always the way to go. Traditional: When you’re trying to be conservative with your design choices, a traditional style is the way to go. 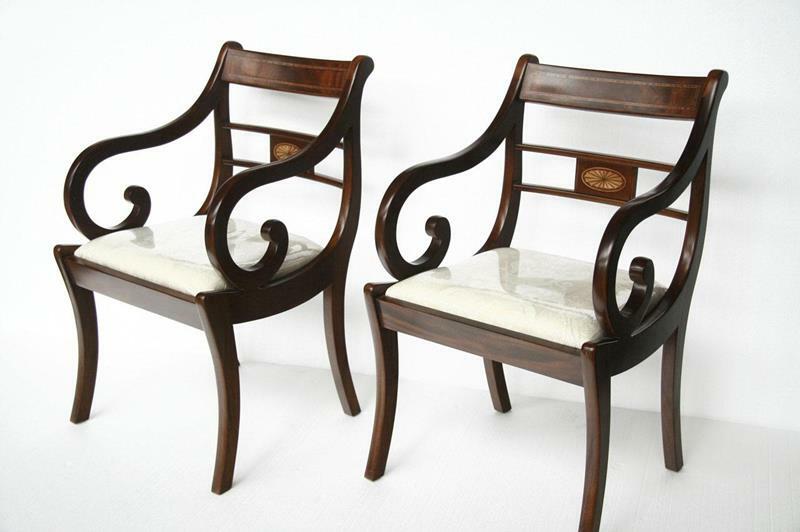 Such chairs feature beautifully carved wood and are largely unadorned with patterns or inlays. Coastal: The coastal style is quite similar to the traditional style. However, whatever stains are used on the wood will be much lighter, and other materials, like wicker, will generally be incorporated. As the name implies, such chairs are perfect for a beachside home. 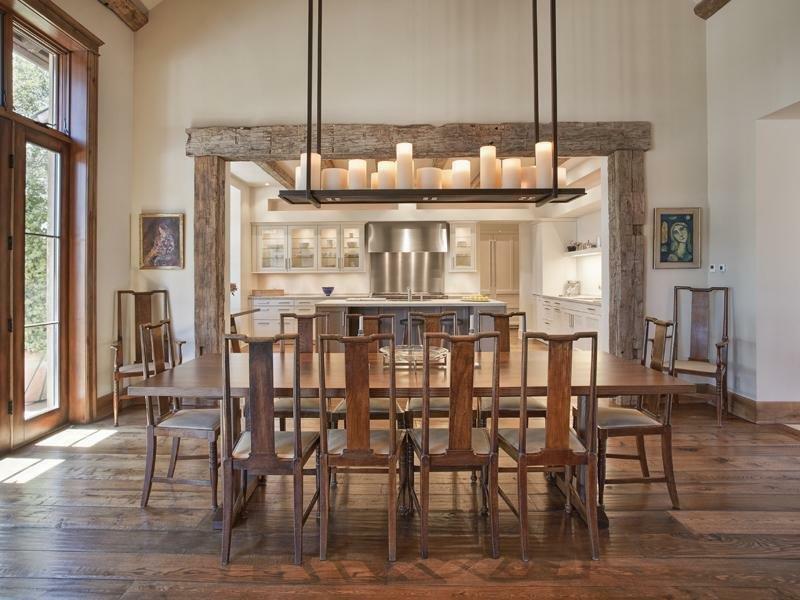 Rustic: Rustic dining room chairs can be done in a variety of different ways. However, they’ll almost always feature exposed wood surfaces and incorporate traditional fabric patterns into their upholstery. They are not always upholstered, though. 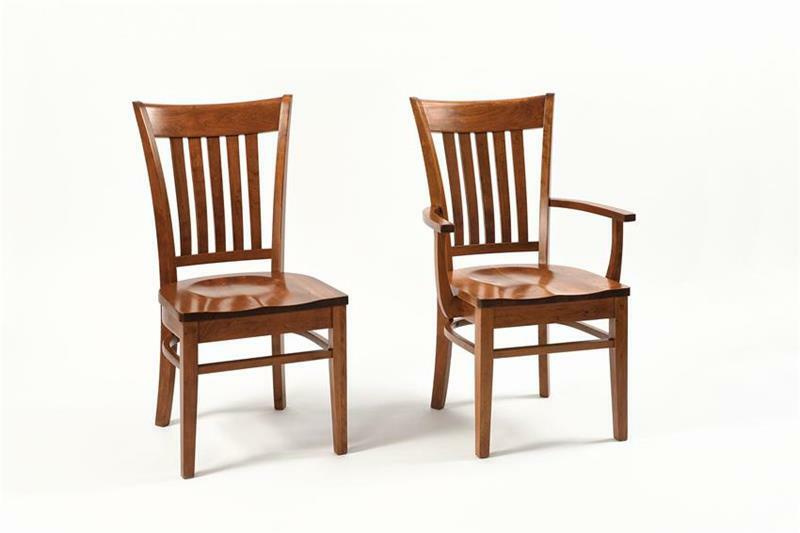 Shaker: If unadorned is what you’re after, than shaker dining room chairs are what you want. They feature simple ladder backs and generally have seats that have been fashioned out of wicker. 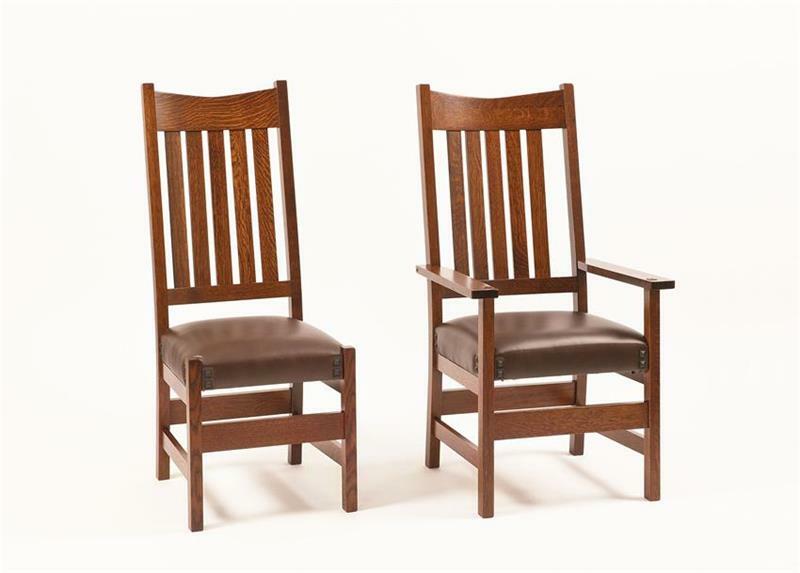 Mission: Although often confused for one another, mission dining room chairs are different than Shaker ones. 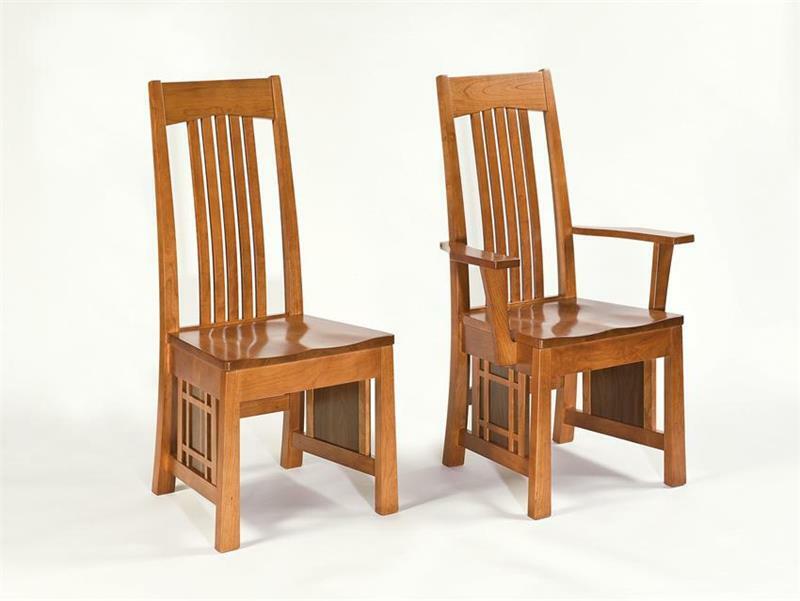 Mission chairs are generally made out of oak or a similar hardwood, and they tend to have exposed joinery, which highlights the craftsmanship that went into the chair’s construction. 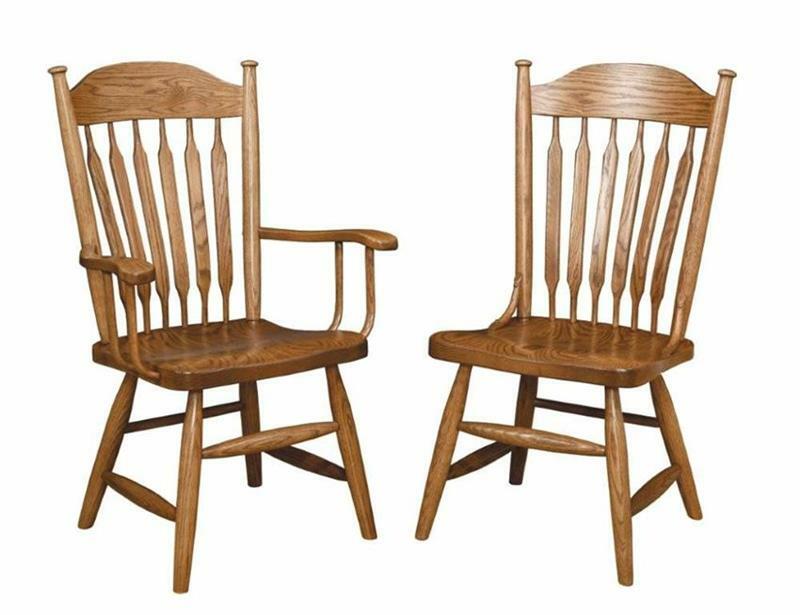 Ladderback: Generally speaking, both Mission and Shaker chairs are almost always “ladderback” chairs. However, ladderback refers more broadly to those chairs that feature backs with horizontally arranged pieces of wood creating the back – like a ladder! Windsor: The Windsor look is another classic, and it’s one that will work particularly well in Colonial and Victorian homes. 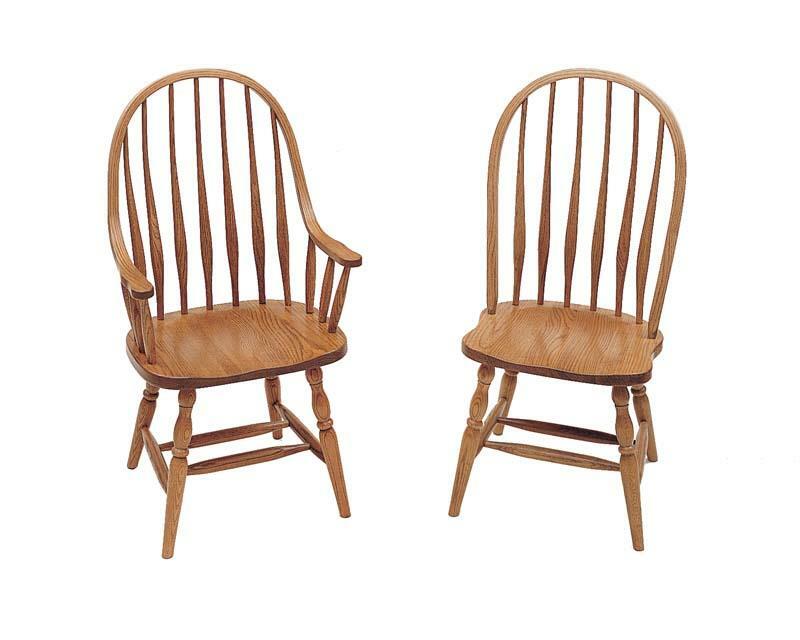 The backs of such chairs are curved, with vertically arranged pieces of wood forming the back. Often such chairs will feature additional ornamentation, from carving to painted designs. Modern: Modern dining room chairs can incorporate different aspects of the other styles already outlined in new and interesting ways. Typically, though, they will be made from molded wood and plastic, featuring metal legs or other touches that increase the sense of modernity. 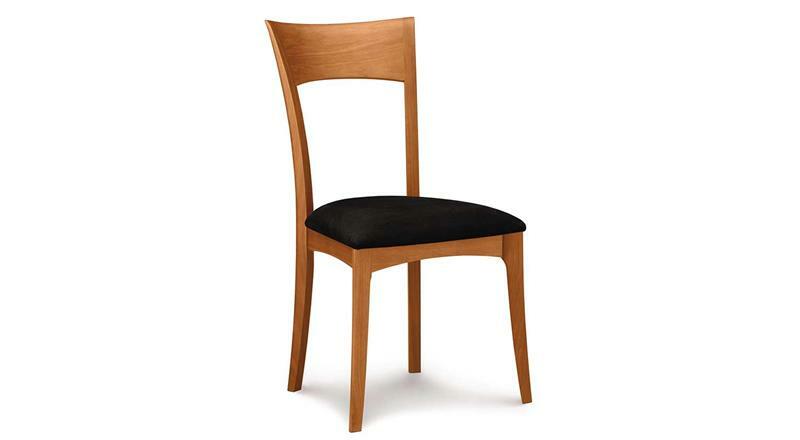 Contemporary: In this day and age, most anything you can think of has been done with dining room chair design. 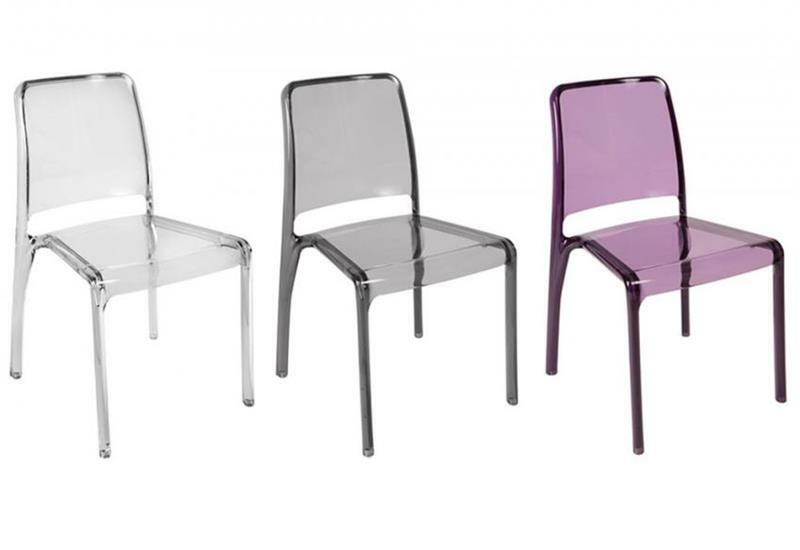 Especially when you look into dining room chairs that have been made from molded plastic, you’ll find that the sky is the limit when it comes to shape, color and outlandishness. 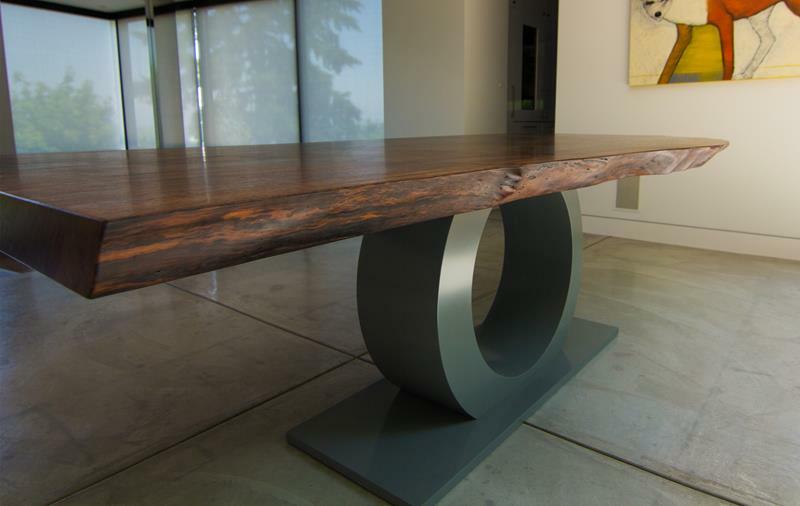 Wood: This is by far the most common material that dining room tables will be made out of. 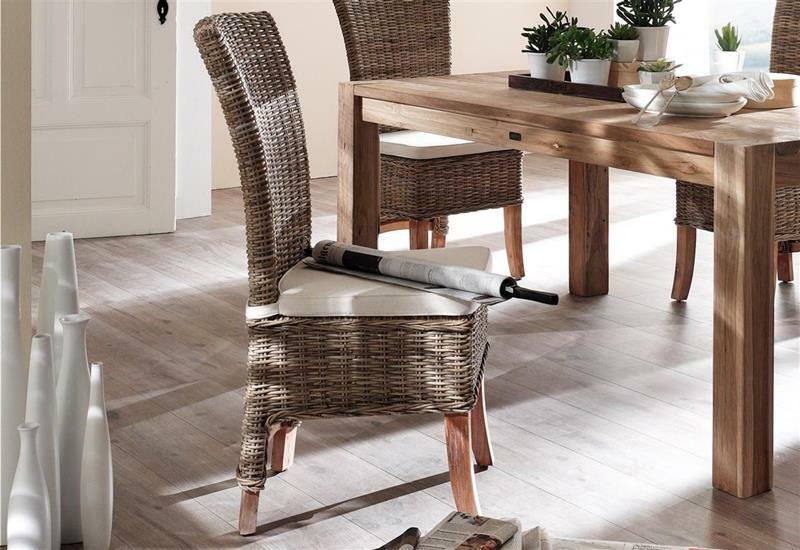 Given the amount that can be done with stains and wood shaping, it’s possible to get wood chairs that are appropriate for almost any dining room style. 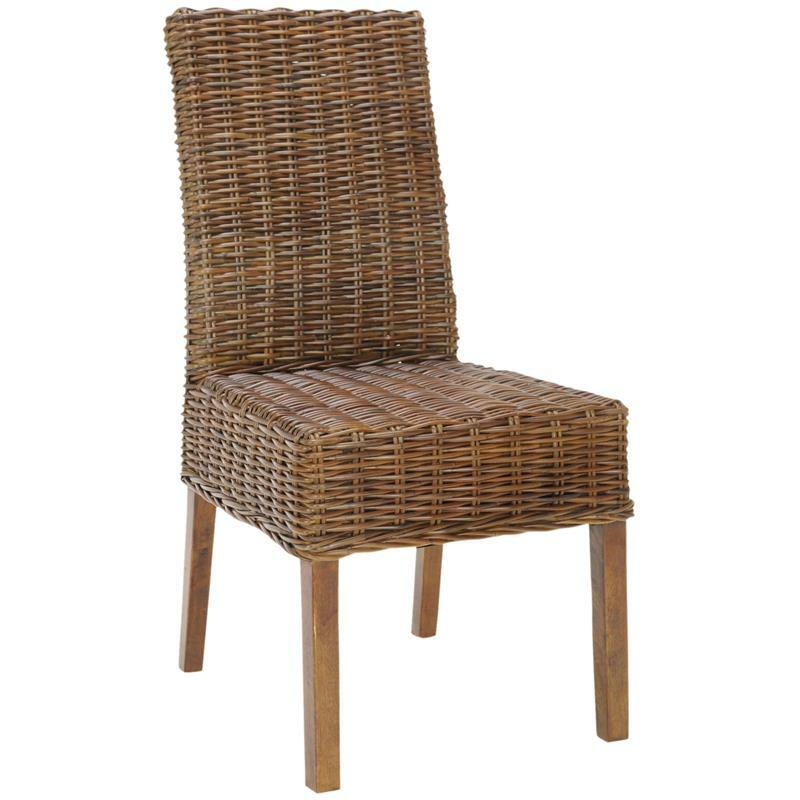 Wicker: Generally speaking, you’ll only see wicker used for the seat or back of a dining room chair. 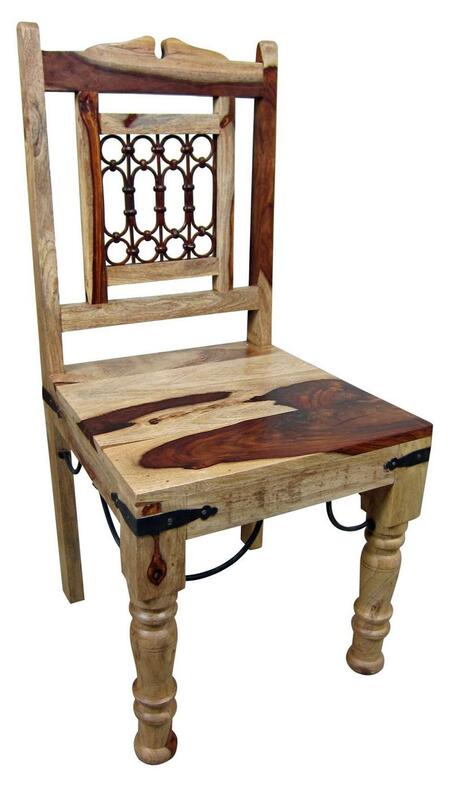 Such chairs have a rustic quality to them, which will make them perfect for a dining room that adopts that style. 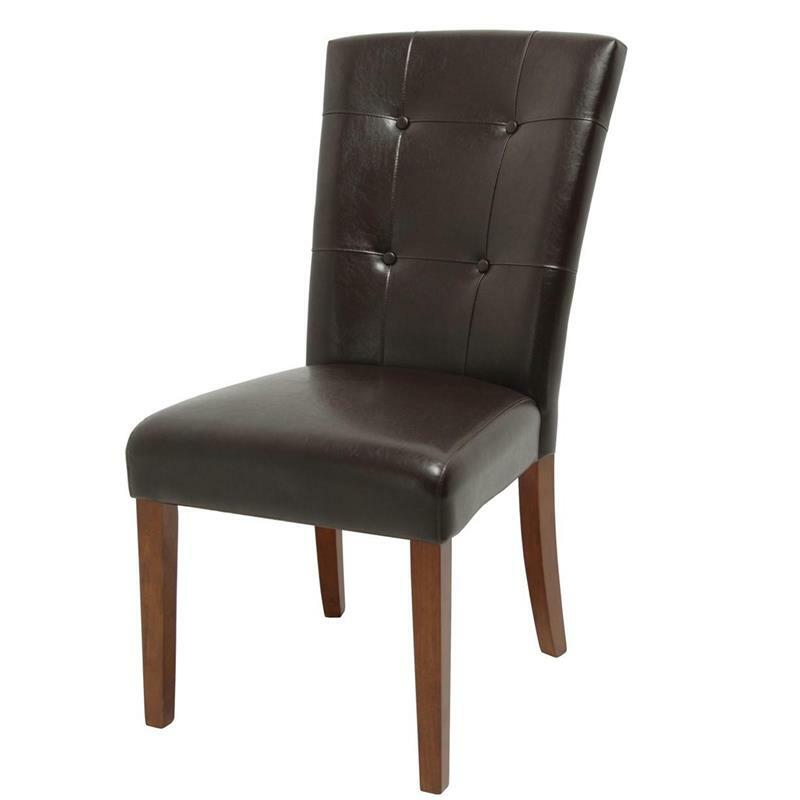 Fabric: Fully upholstered dining room chairs have a luxurious feel to them that’s hard to ignore. However, they may not be appropriate for a dining room if you have small children, as messy hands have a way of finding themselves on things they shouldn’t touch! Plastic: If you’re looking to go unique with your dining room design, or if you’re adopting a thoroughly modern aesthetic, plastic can make a solid choice. Now, don’t think cheap here! 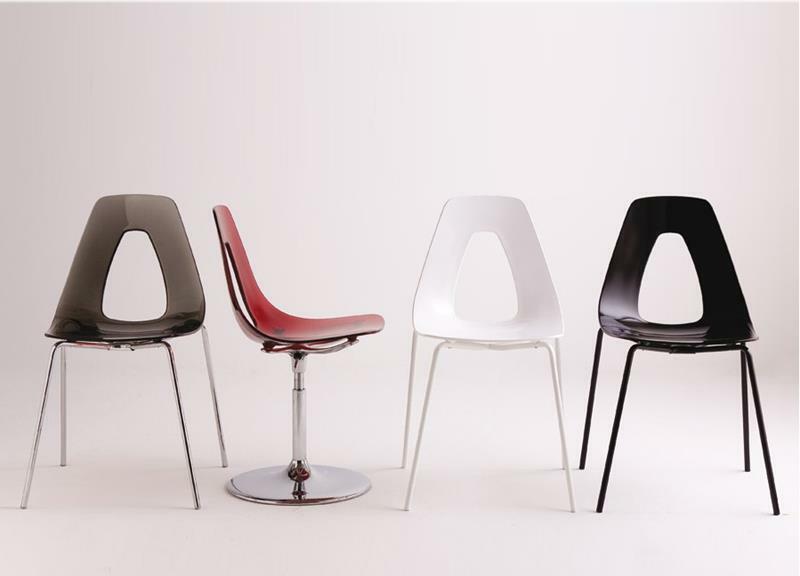 Instead, think of interestingly colored and shaped plastic chairs that have a unique look and feel. 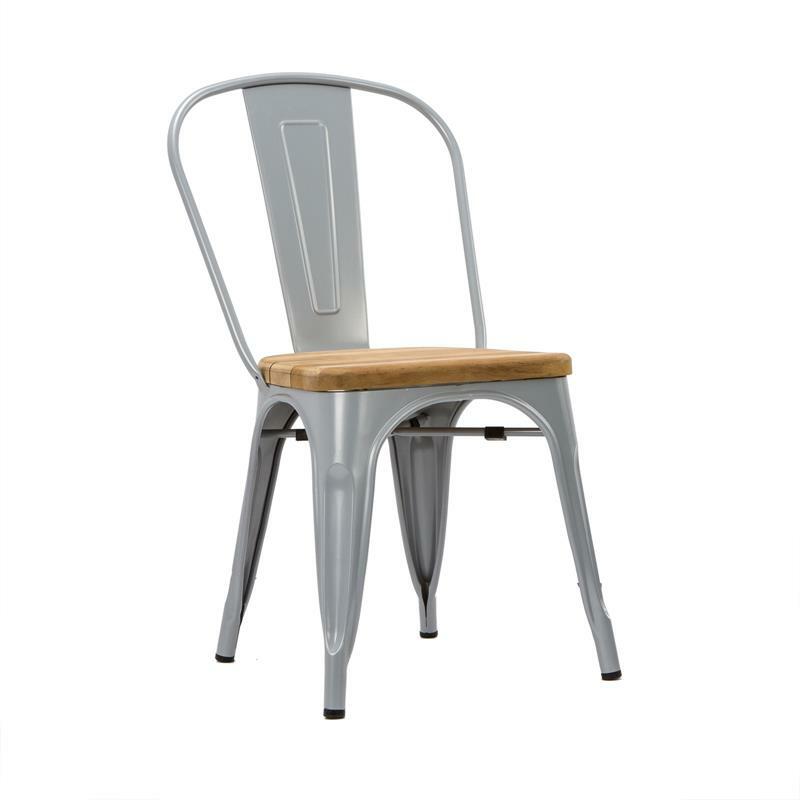 Metal: While you’re rarely see a solid metal dining room chair, you will see this material used with the other materials listed above. Metal, in all of its forms, has a beautiful look to it, and combines beautifully with wood and fabric. 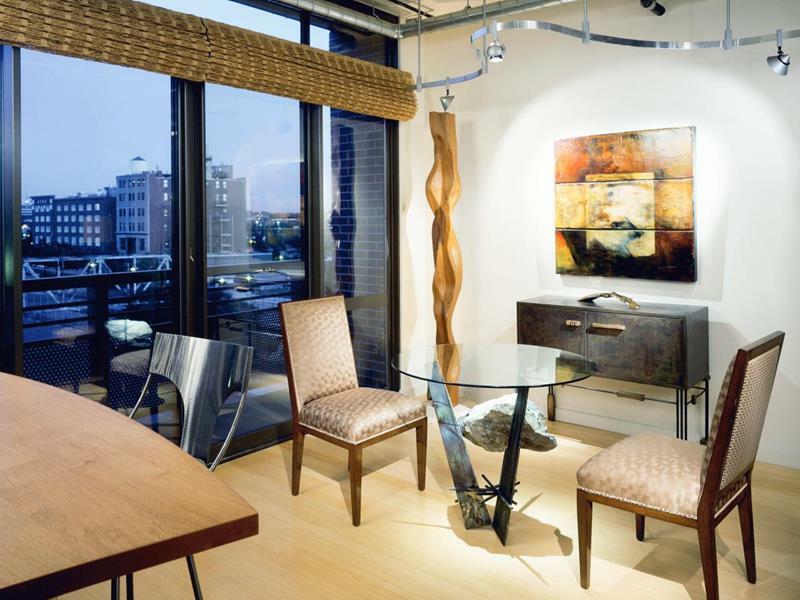 Those who are attempting to create a contemporary dining room should examine their metallic options! 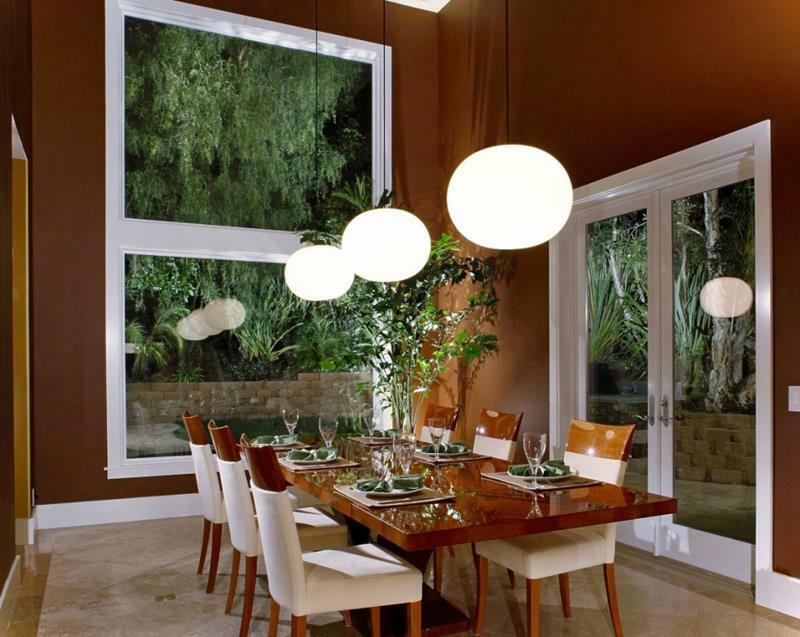 Lighting will play an integral role in creating the overall look of your dining room. We strongly recommend that your lighting considerations begin with incorporating as much natural light into the space as possible. This helps greatly in terms of creating the convivial atmosphere you’ll want around your dining room table. However, light coming through the windows will only get you so far; you’re going to need additional lighting! So, let’s take a look at the light fixtures you’ll need to consider. No dining room is complete without a chandelier. It forms a visual focal point over the dining room table, while at the same time ensuring that everyone has ample light to eat by. As much as the dining room table itself, the chandelier you select will go a long way toward creating the visual look and feel of your space. So make sure you spend considerable time looking at different options and weighing them against each other. Finally, remember that the placement of your chandelier is incredibly important. In order for your dining room to seem balanced – whether it’s a dedicated room or part of an open-concept living space – it must be centered over the table. So, keep this in mind when placing it! 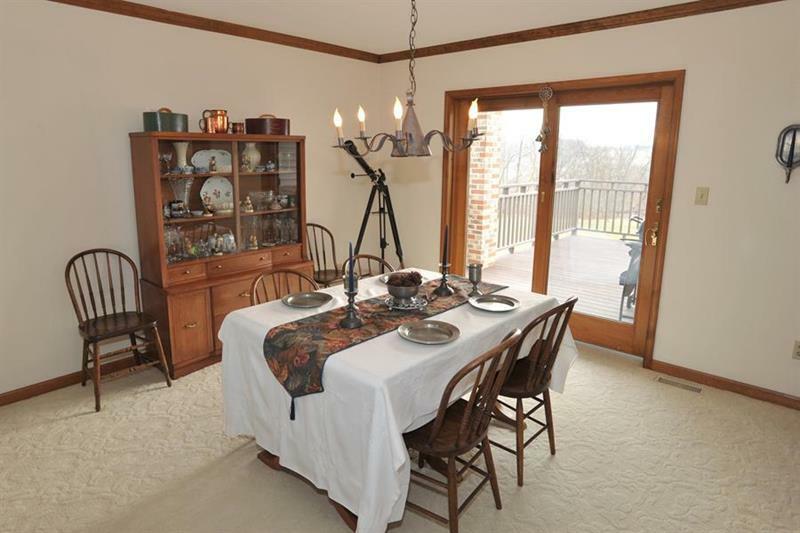 Also, consider the size of the dining room table you select too, as well as how it will be placed in the space. 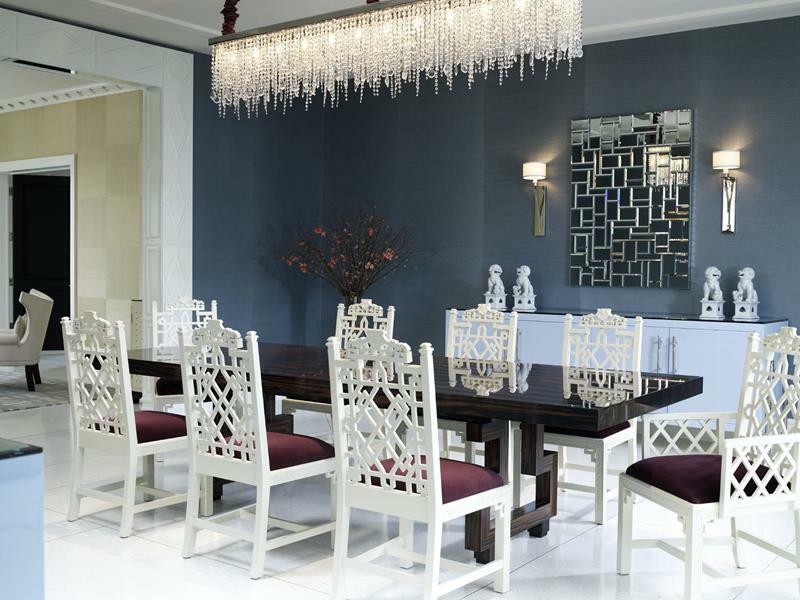 With all of that in mind, let’s take a look at some stunning dining room chandeliers. There are so many different options, and we think you’ll be impressed by the selection that we’ve found! If you’re going for a unique look, don’t be afraid to select a chandelier that’s outside of the box. This chandelier with hanging beads and false candles adds a wonderful sense of luxury to this dining room. 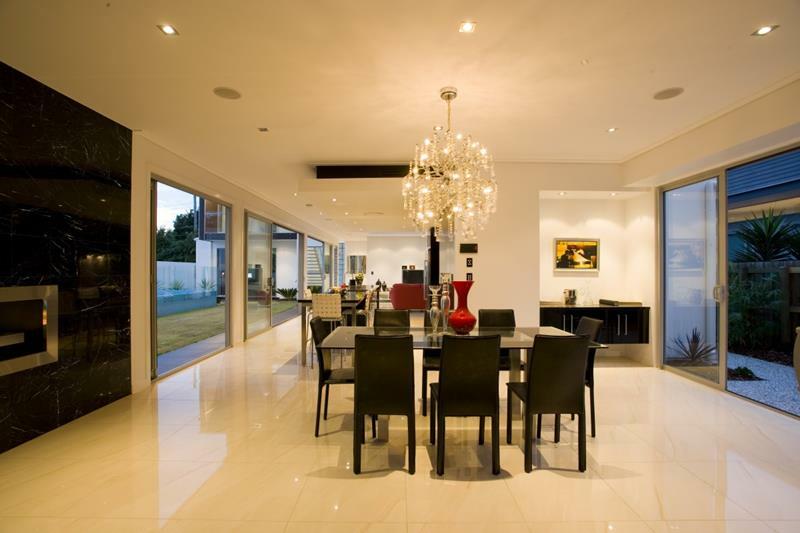 With a longer dining room table, you may wish to consider using multiple light fixtures, as you see here. Even in a contemporary living space, a traditional and classic chandelier can work wonders. Those who appreciate contemporary and minimal style will find a lot to love in this simple but elegant chandelier. 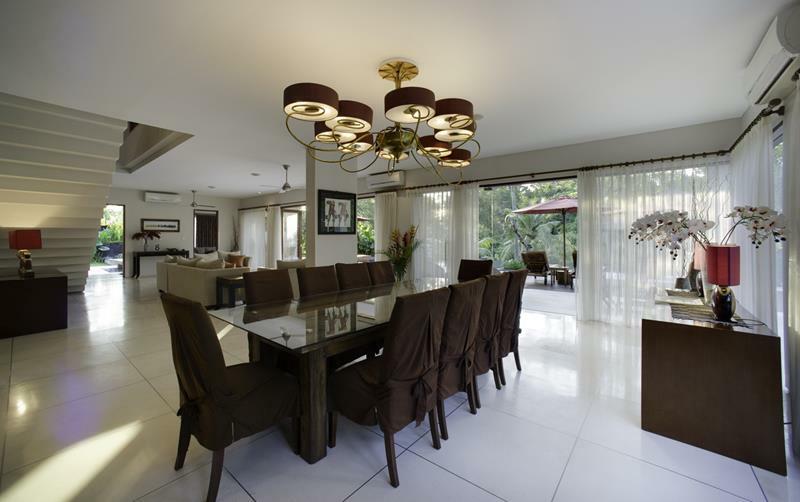 The rectangular design of the chandelier you see here brings balance to the layout of the room. While an amply sized chandelier will cast plenty of light, you’ll likely need other fixtures to keep the space well lit. Below, we’ll be reviewing the additional light fixtures you can consider, and examining a couple examples of dining rooms that incorporate these fixtures beautifully. Floor lamps and table lamps can help keep your dining room well lit. Additionally, they can really help when it comes to adding a sense of verticality to the space. When choosing and placing lamps – either on the floor or on tables – be sure to consider balance. In most cases, you’ll want two of whatever lamp you select in order to add a sense of symmetry to your dining room design. Let’s take a look at some examples! 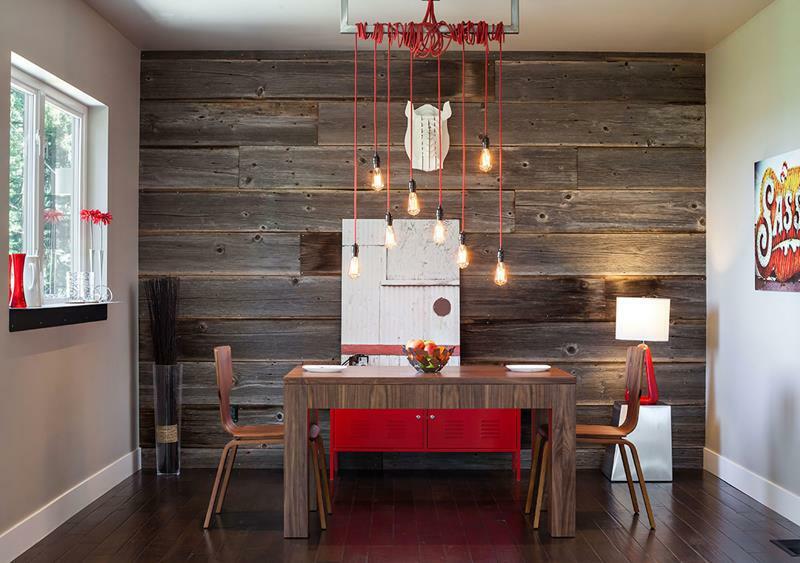 The contemporary lamp at right adds a sense of whimsy to this eclectic and rustic dining room design. Simple red lamps at right and left bring visual harmony to this large open-concept dining room. If you’re attempting to create a sense of luxury within your dining room design, wall sconces can be an incredible way to do so. The light that they cast along the walls really adds a sense of drama to the space, and they can make a room appear and feel more intimate than it otherwise might. For the ultimate effect, we recommend attaching any sconces you might incorporate into your design to a dimmer; this will give you “mood” on demand! Let’s take a look at some examples! 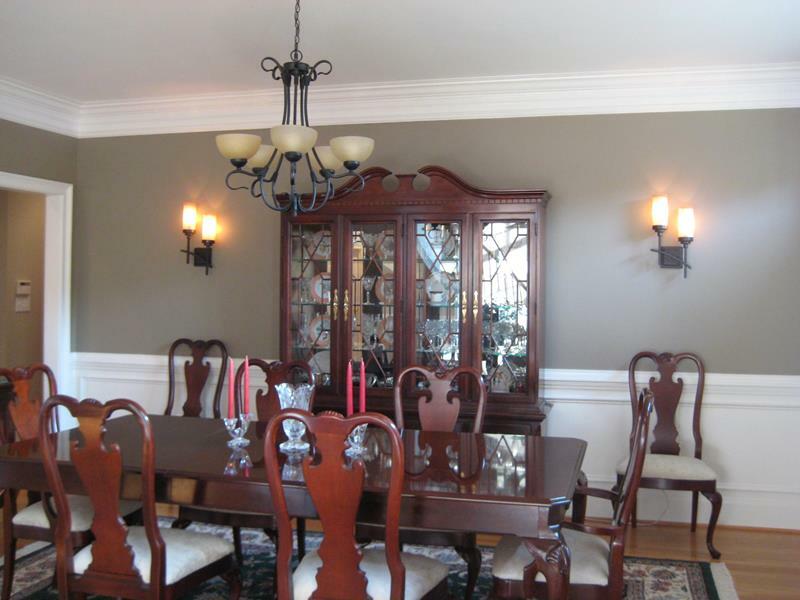 Wall sconces perfectly frame and lend drama to the ornate display case in this beautiful dining room. Here sconces are used to call visual attention to the mirrors, which increase the sense of space in this dining room design. 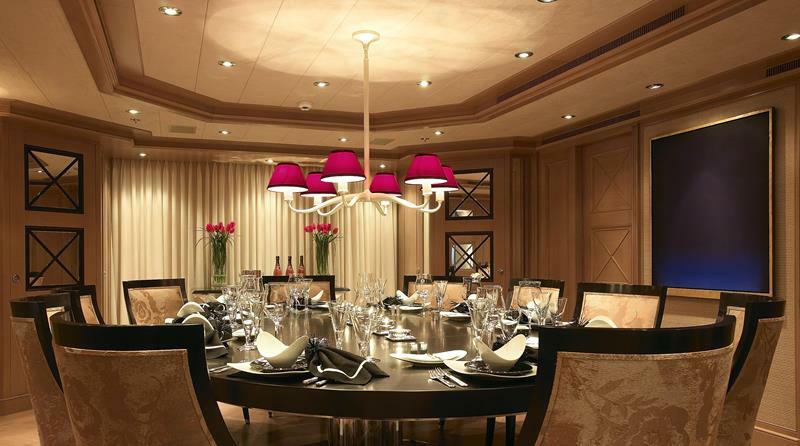 Like sconces, track lighting can really set the mood and add drama to your dining room design. 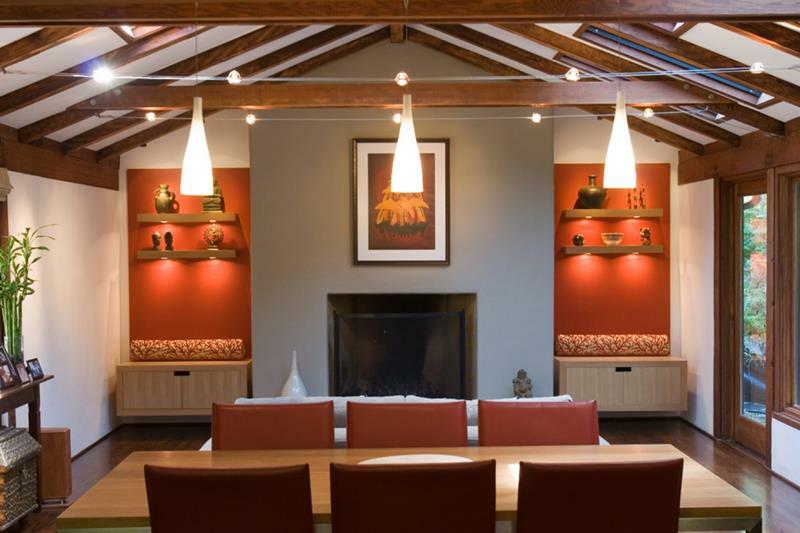 We especially recommend track lighting for dining rooms that feature high ceilings or for those that feature artwork on the walls. If you’re going to forgo a chandelier – perhaps in an über-contemporary dining room design – you may be able to use track lighting instead. Also, bear in mind that track lighting is an excellent way to call attention to natural wood grains in furniture pieces. In lieu of a chandelier, this small dining area is illuminated by curved track lighting that also casts light on a piece of artwork. Track lighting is used here to bring a sense of drama to this grey and understated dining room design. See how it illuminates the chairs? Recessed lighting can be used just as effectively in your dining room design as it can be in other living spaces within your home. You can use such lighting to augment the light coming from other sources, or you can use it exclusively, as is sometimes done in contemporary dining rooms. 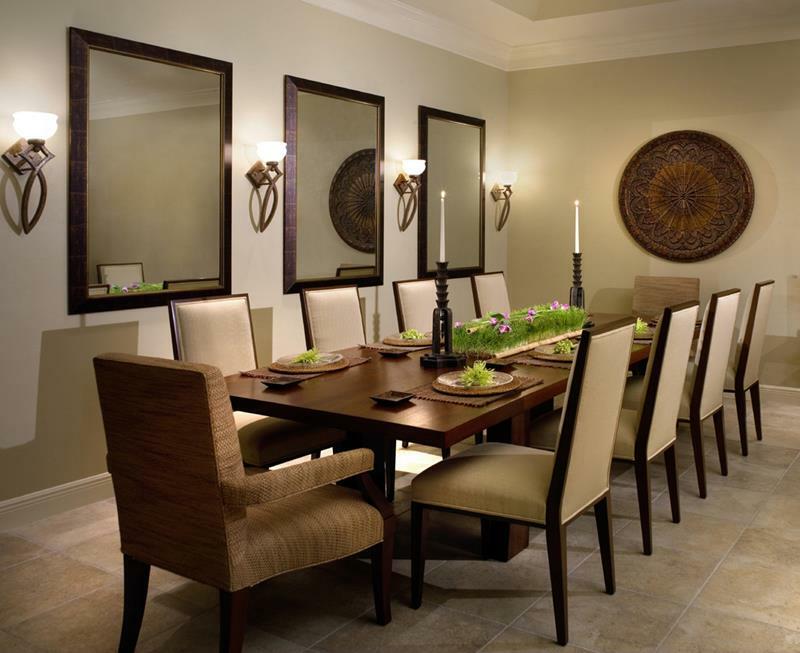 When using recessed lighting in your dining room design, consider where your table and chairs will be placed. You don’t want anyone sitting at the table to feel like they’re “in the spotlight”! 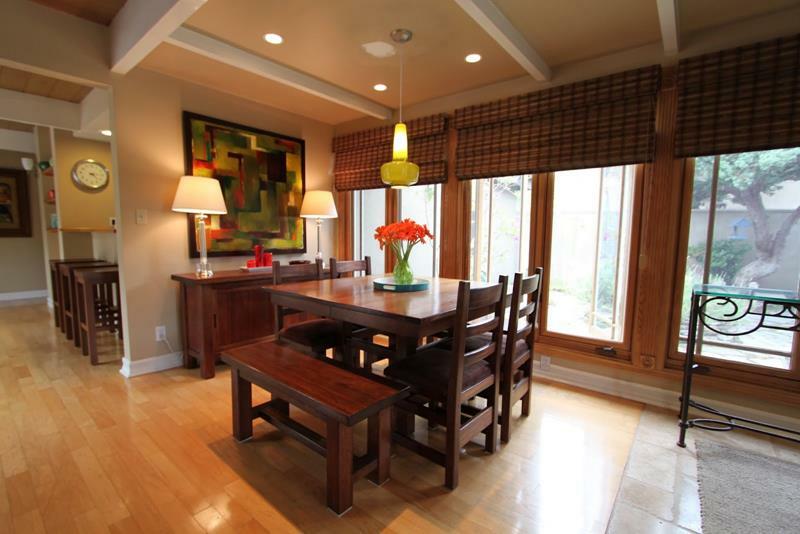 Small recessed LED lights bring out the natural beauty of wood that makes up the dining room table and chairs. 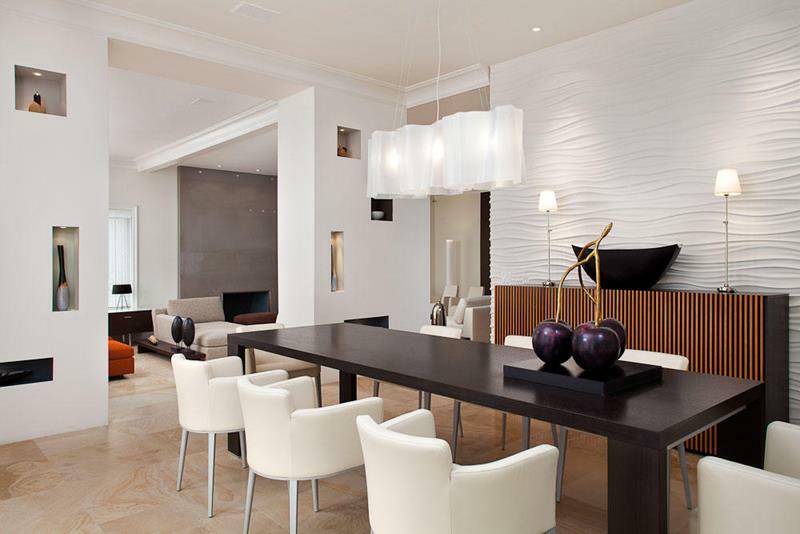 Recessed lights perfectly augment the other light fixtures present in this beautiful dining room design. 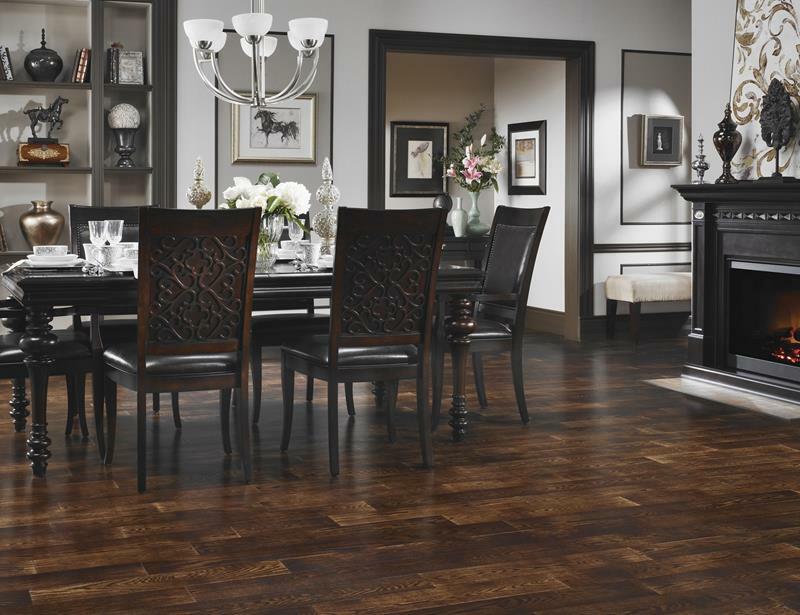 Flooring will play an important role in creating the look and feel of your dining room. It will also play partially into its functionality, as different flooring options will be appropriate for different dining room uses. Below, we’ll be examining the range of flooring options that are available and explaining the pros and cons of each. Of course, if your dining room is going to be a part of an open-concept living space, you’ll be somewhat restrained in your options. 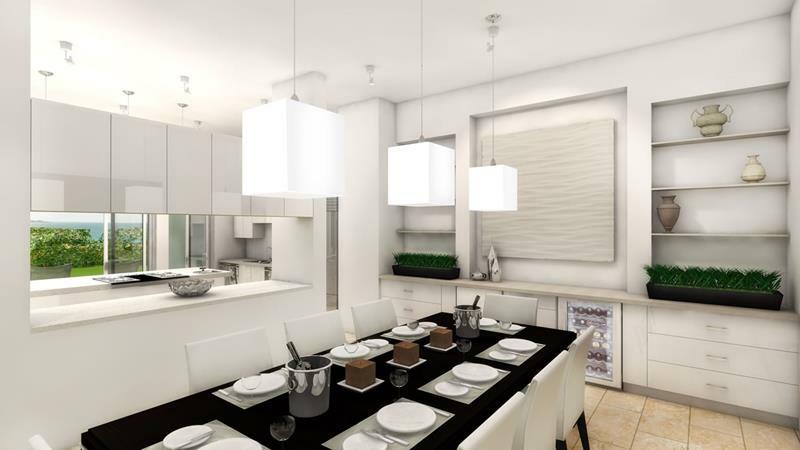 In this case, you’ll need to consider the open-concept space overall, arriving at something that splits the difference between what you need in both the dining room and adjacent living space. Of course, you can always use multiple flooring materials in the same space, but this can make balancing the look quite difficult. Without a doubt, hardwood floors are the most popular option for dining rooms, as they are with pretty much any other room in your home. They have a beautiful look, and they’re quite durable and easy to clean. However, it’s important to keep this in mind: Given that chairs will be sliding in and out from the table, you’ll want to make sure that you have a solution for keeping hardwood floors from becoming scratched. 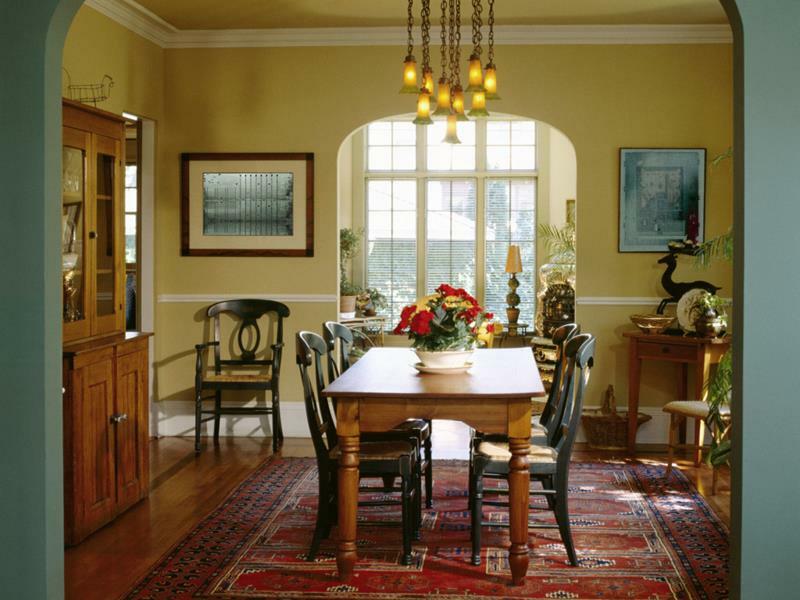 Here are some examples of dining room designs that use hardwood floors. The hardwood floors of this dining room design are the perfect complement to the green walls. Light hardwood floors help to keep this minimalist dining room design light and airy. 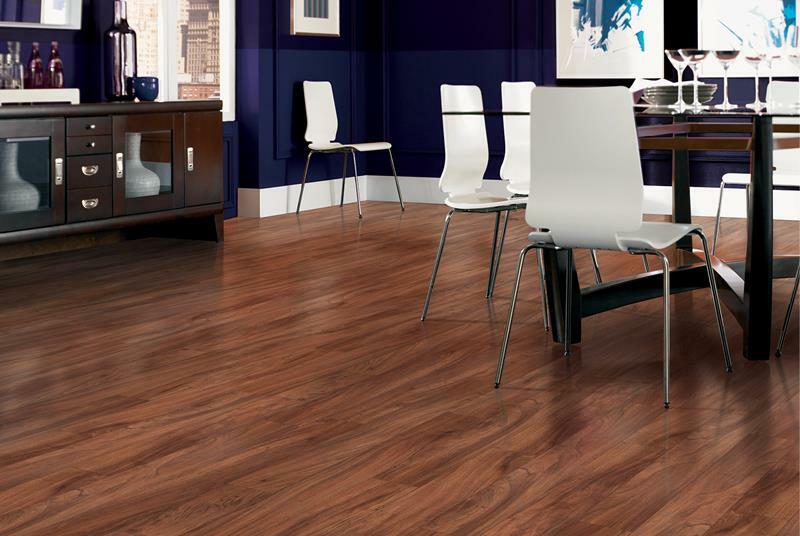 If you want the look of hardwood floors but need increased durability, then laminate floors can be a great option! Only upon close inspection will most people be able to tell the difference between authentic hardwood floors and laminate flooring. All of this is great, because laminate floors will almost always be cheaper than hardwood options you might be consider. However, keep in mind that standing water can easily ruin laminate floors, so always clean up any spills that happen promptly! Here are some examples of dining room designs that use laminate floors. 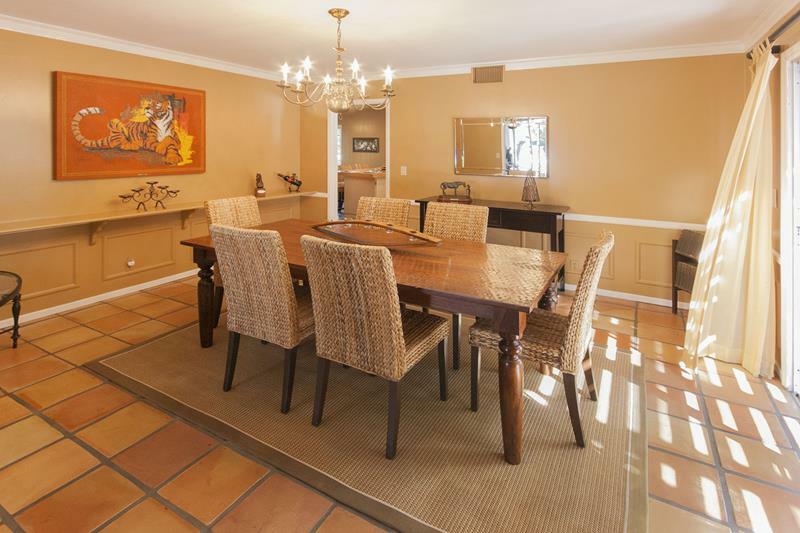 If we didn’t tell you, you’d be hard pressed to tell that the floors of this luxurious dining room are laminate. The darker laminate flooring used in this dining room works beautifully with the deep blue walls. 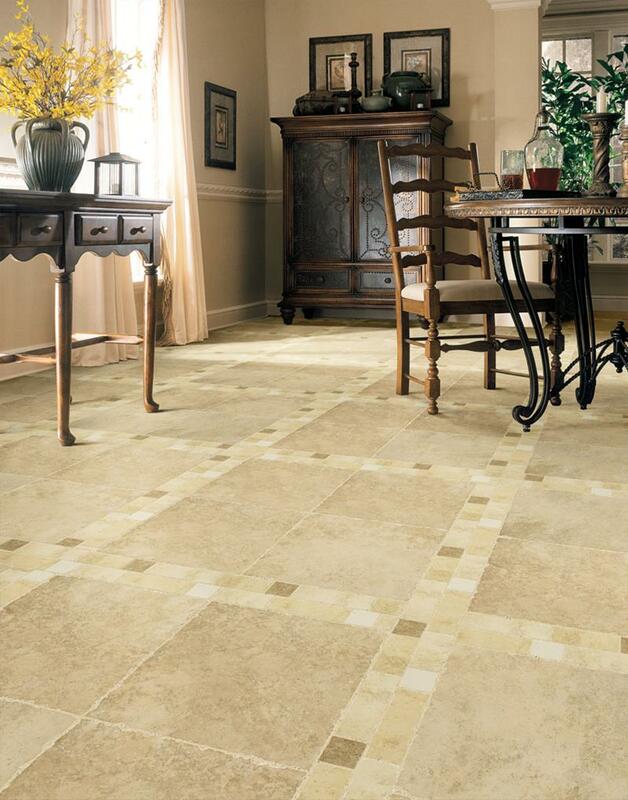 For certain dining room styles, tile can be an excellent option! With tile you can incorporate multiple colors in interesting patterns, which can really help to add visual interest to your dining room space. However, tile is generally the most expensive option, which can be a drawback. Also, tile presents an uneven surface for placing furniture, and this can be troublesome with things like dining room tables and chairs. However, an area rug can be used to even things out! 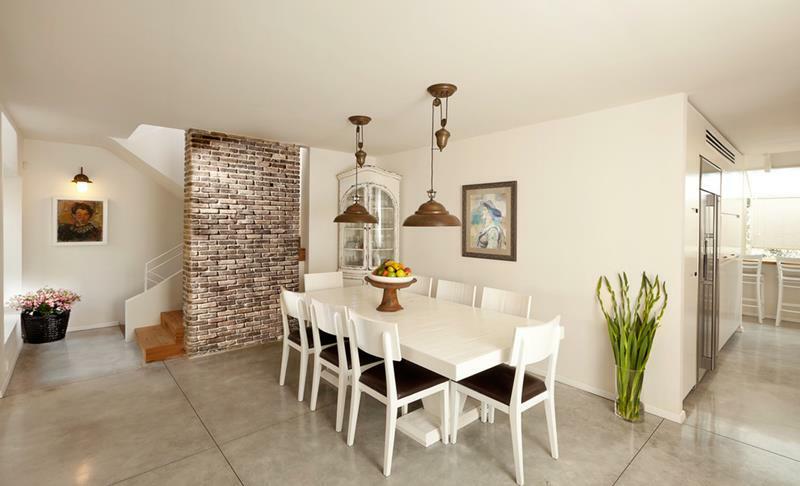 Here are some examples of dining room designs that use tile floors. The red tiles used in this dining room design thoroughly complete the space’s rustic yet luxurious charm. This dining room design is about as luxurious as they come, thanks in no small part to the beautiful (and shiny) tile floors. 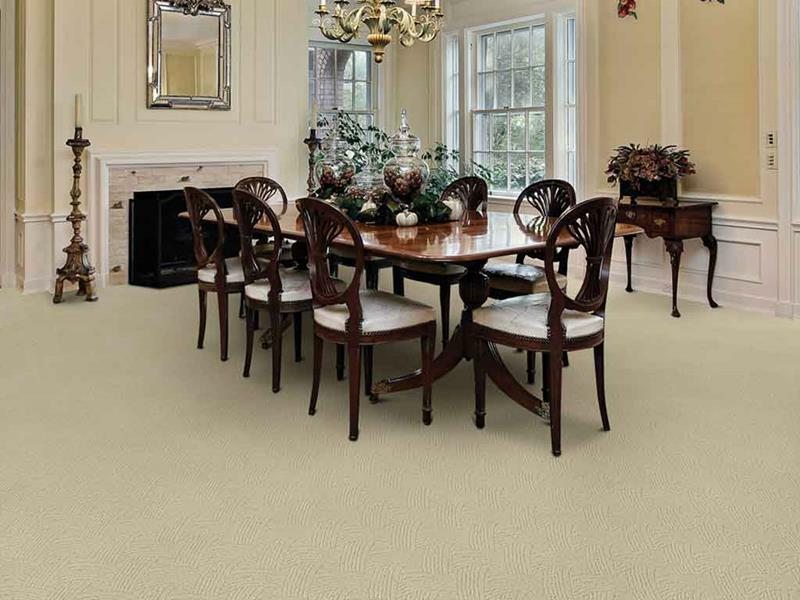 If you’re looking to create a comfortable space, then carpet might work perfectly for your dining room. You can choose from a number of different colors and weaves to create a number of different looks for your space. The drawback of carpet is, of course, that it can be difficult to keep clean! If you’ll be having small children around the table, who are known to have trouble keeping food in their mouths, the cleanliness issue could be a big one! Also, bear in mind that a heavy piece of furniture – like a massive dining room table – will leave depressions in the carpet, which could become a problem if you ever want to rearrange. 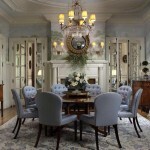 Here are some examples of dining room designs that use carpeted floors. 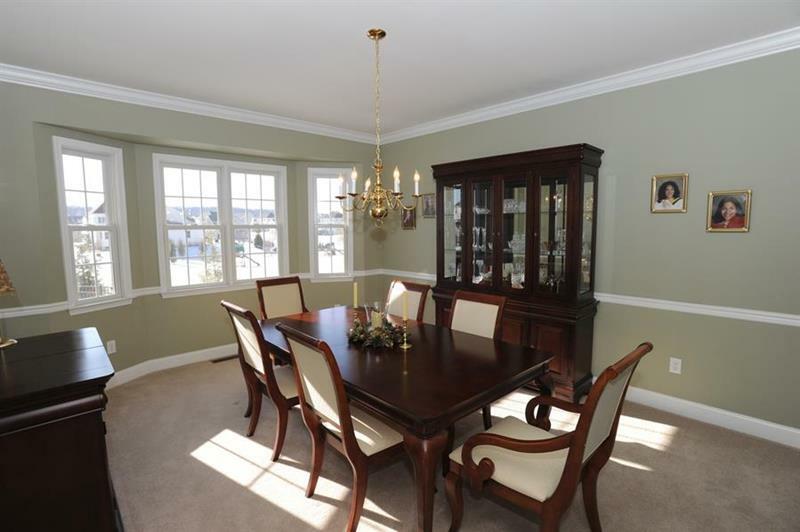 The deep stain used on the wood in this dining room stands out beautifully against the beige carpet. Here, the pattern of the wall-to-wall carpeting adds a touch of elegance to this minimal dining room design. If you’re looking to create a contemporary vibe for your dining room, then concrete could be the perfect choice. With stamps, epoxies and stains, you can achieve a staggering number of different looks with concrete. Because of this, the expense of concrete floors will vary depending upon how much customization you’re looking for. Also, bare in mind that concrete is hard stuff, and it is thus the natural enemy of glasses or plates that might fall from the table. Likewise, concrete isn’t exactly the easiest material on the old joints! 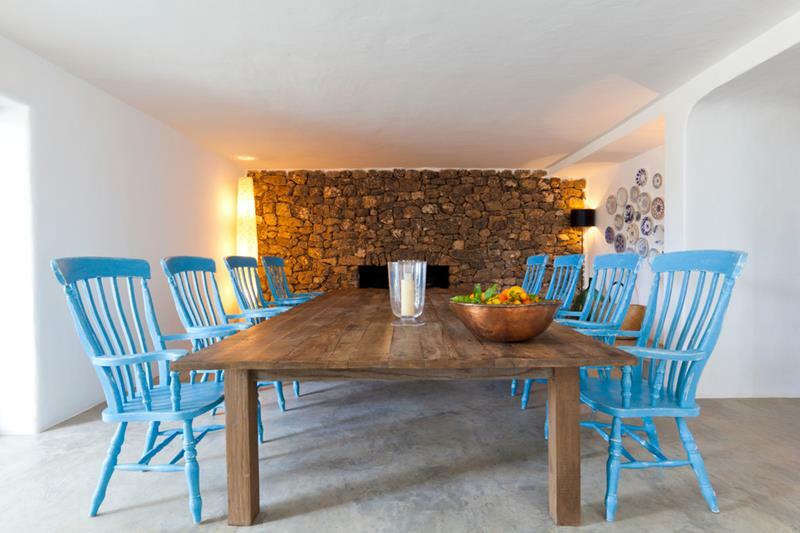 Here are some examples of dining room designs that use concrete floors. 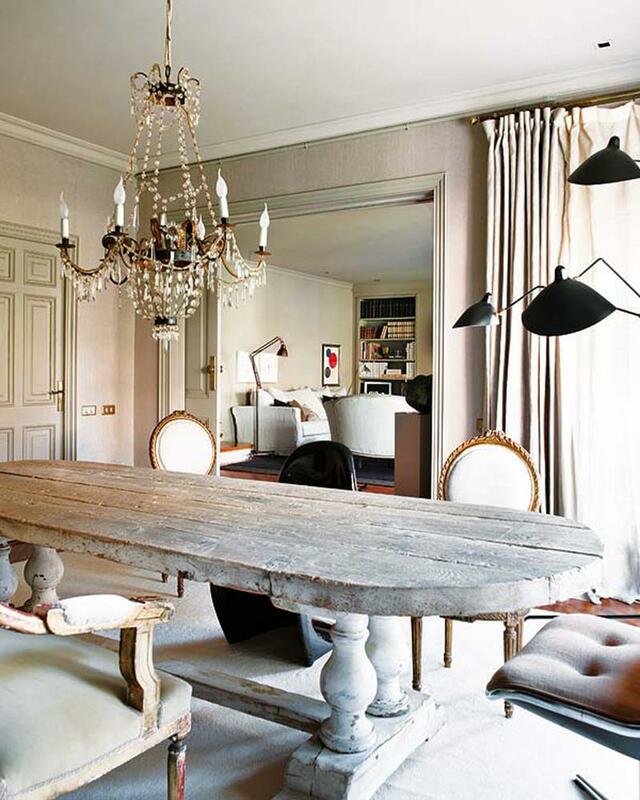 Simple concrete flooring perfectly ties together the understated elegance of this minimal dining room design. 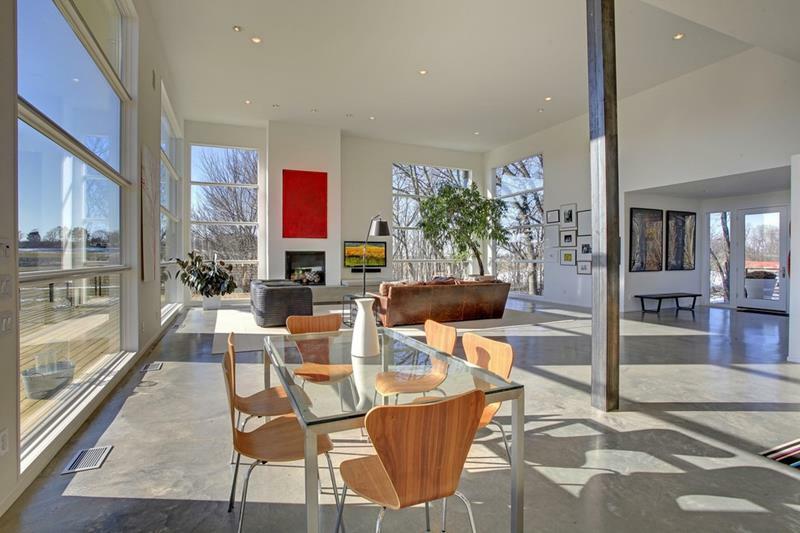 Even with a rustic style, concrete floors can work exceptionally well, as you can see in this example. Regardless of what flooring option you ultimately decide upon, you should strongly consider using an area rug beneath your dining room table. This will help to balance out the space, and it can greatly assist you with adding visual flair and color to the overall look. This is particularly the case if your dining room is a part of an open-concept living space; you’ll need that area rug to “create the space” for your dining room. Now, as you select the different furniture pieces, light fixtures, and flooring for your dining room design, you’ll have to be thinking of the overall color scheme and style. Because the options in this regard are too numerous to list – and too personal of a choice – we thought it would be better to provide you with a range of examples that showcase the limitless possibilities. First we’ll be examining different color schemes and how they play into the “feel” of the room, and then we’ll be looking at a number of different design styles. 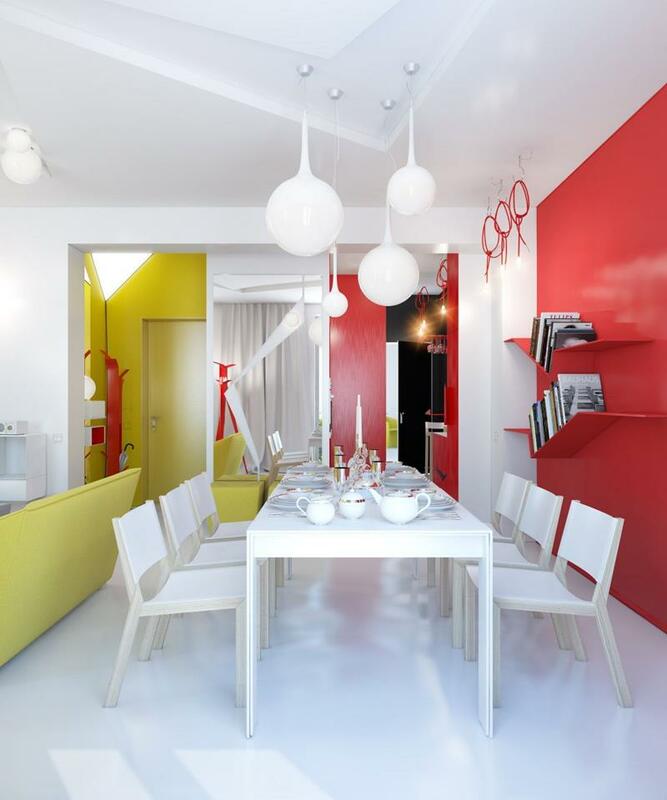 When it comes to choosing a color scheme for your dining room, the possibilities are limitless. You’ll want to think about what kind of a “vibe” you’re trying to create, though, as you consider different paint swatches. 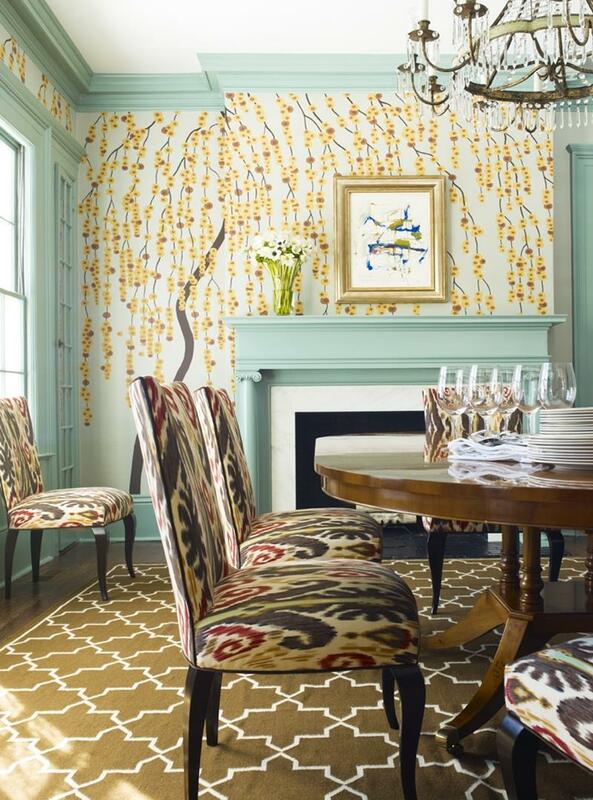 Generally speaking, it’s best to keep dining room colors light and airy – whites, blues and yellows. However, if you’re looking to create an intimate feel and something with “adult” flair, you may wish to go darker – deep blues, reds, stained wood, leather, etc. Here, the subtle and deep red of the seats on the dining room chairs perfectly balances the overall white and blue color scheme. 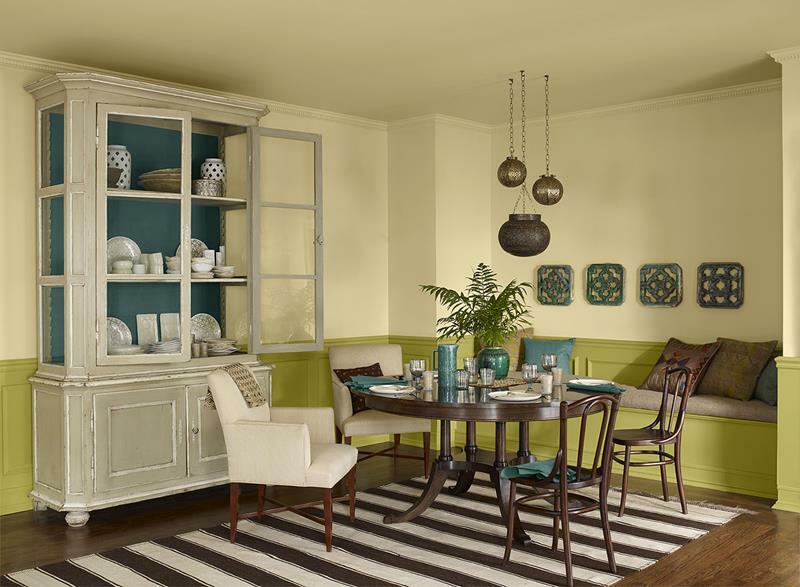 Green and beige come together beautifully and keep this dining room design charming. 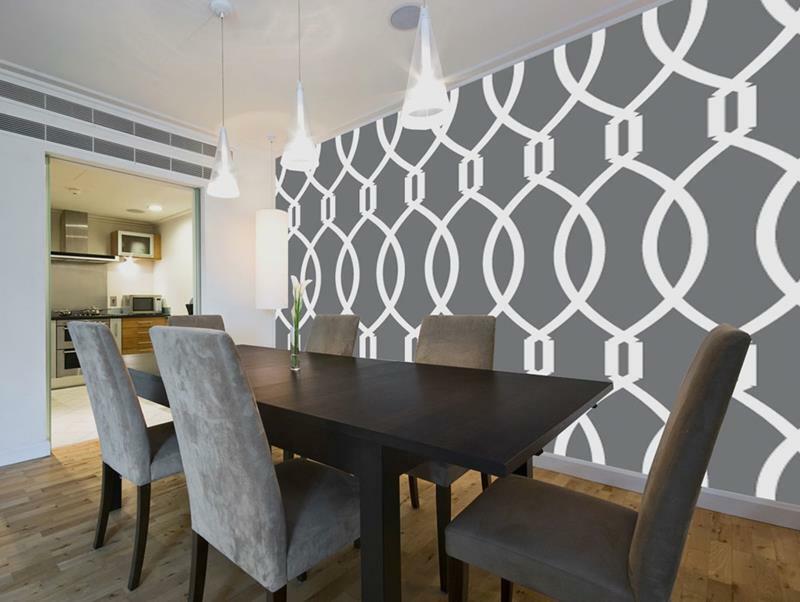 One way to incorporate different colors into your dining room design is to include an accent wall. The use of purple gives this dining room design a more intimate feel than you’d get with lighter colors. Exposed wood and orange walls really bring out the architectural flavor of this stunning dining room. 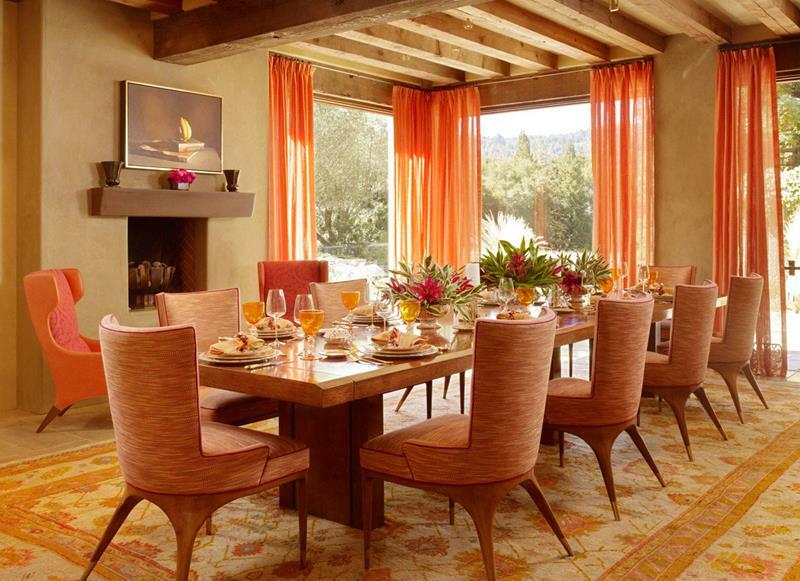 The orange and wood color scheme of this dining room lends the space a slightly mid-century vibe. 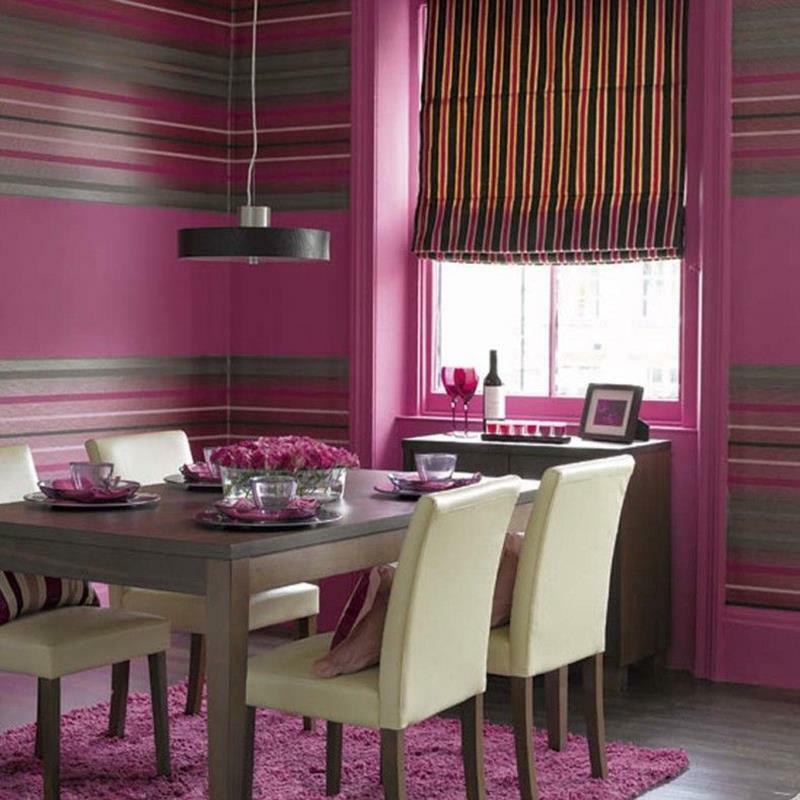 As with any other living space in your home, you can adopt a range of different styles with your dining room. In almost every case, though, you’ll want to follow the overall style of the home itself. However, you can always go different, especially if your dining room is somewhat isolated from other living spaces or is located adjacent to a kitchen that features its own unique style and look. Twin chandeliers and high ceilings lend this dining room design a style that’s luxury through and through. 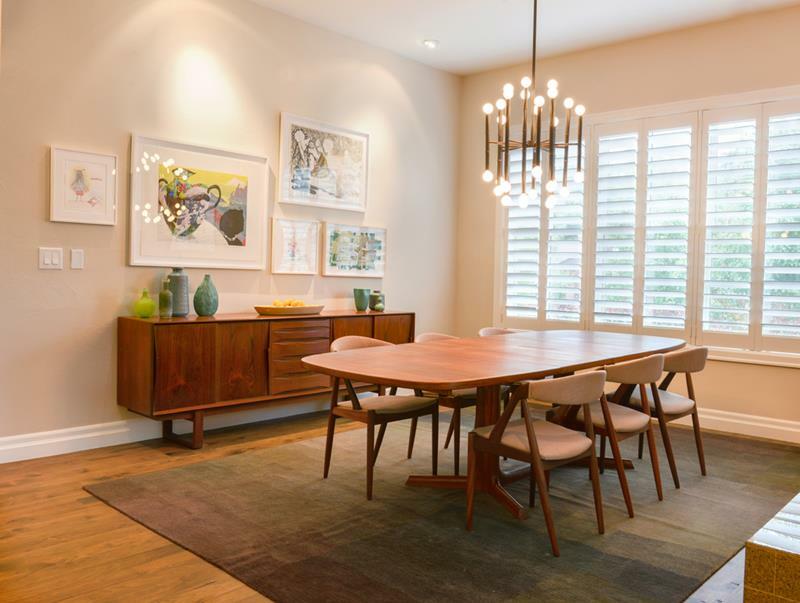 The mid-century style of this stunning dining room design is simply infectious! Square shapes and clean lines are what’s called for when you want to adopt the contemporary style for your dining room. 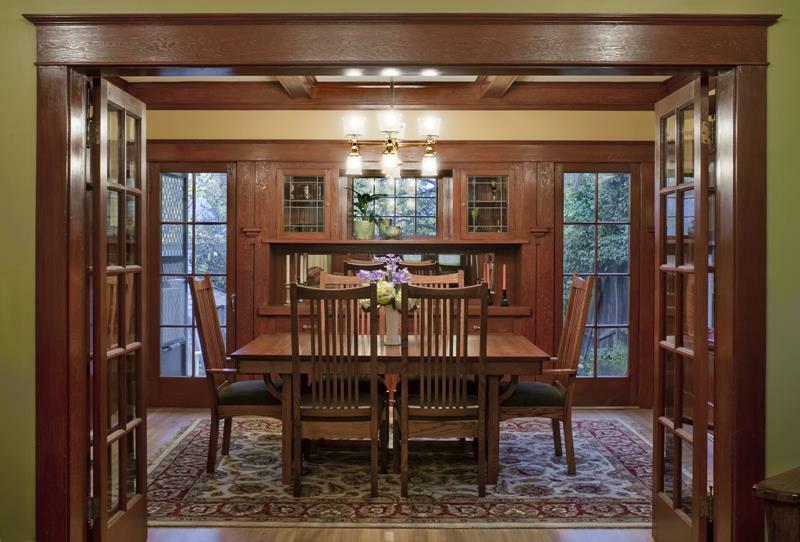 Wood, wood and more wood is the name of the game when you’re trying to adopt the Craftsman style. Light, exposed wood, along with metal touches and clean lines, helps to achieve the rustic style for this amazing dining room. 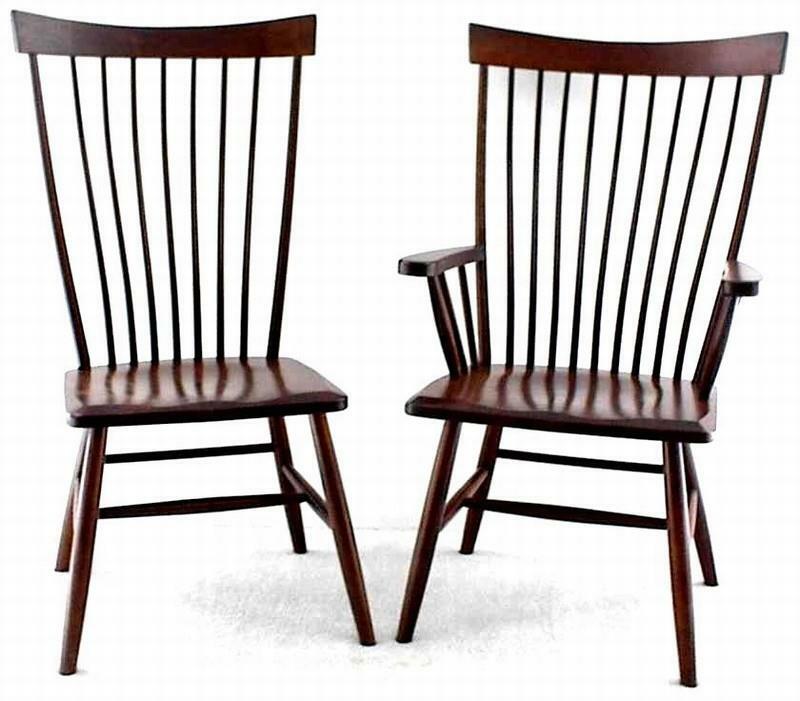 If you’re going for a country design, things will be incomplete without Windsor dining room chairs. 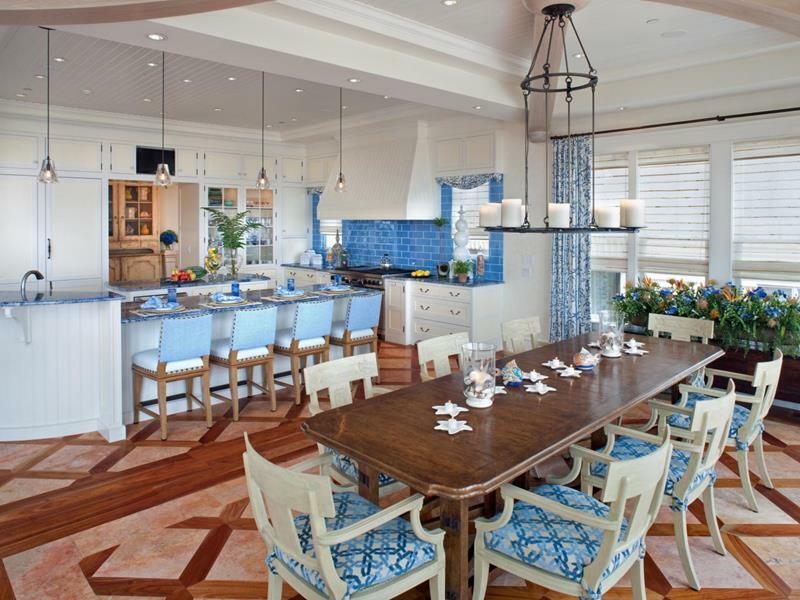 For a coastal-style dining room, it’s all about white, blue and natural wood. You simply can’t go wrong! Of course, there are no hard and fast style rules. So whatever you do, make sure you make your living room design your own! With everything we’ve discussed above in mind, you should be well on your way to creating a dining room design that you, your family and your friends will enjoy for many years to come. 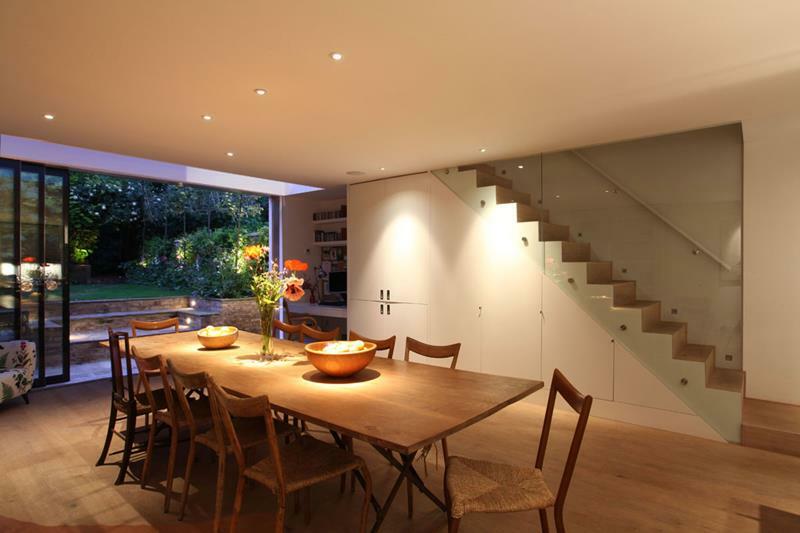 However, part of designing the ideal dining room lies in seeing what others have come up with. For this reason, we’d like to encourage you to check out these amazing galleries that showcase some of the most unique and beautiful dining room designs we’ve come across. Hopefully, you’ll find plenty of examples to draw inspiration from!